Soon after arriving in the UK, Mohanji’s work began, despite a swollen leg that made walking very painful and difficult without support. The amount of negativity, which he absorbs especially during house visits, is a testament to a selfless realized master. There were many house visits during the 3 weeks and in each Satsang many questions were answered with such loving clarity and sometimes with the stern voice of Shiva! We will be converting these gems of wisdom over the next few weeks as material to use in our UK Satsangs and for the benefit of Mohanji family. 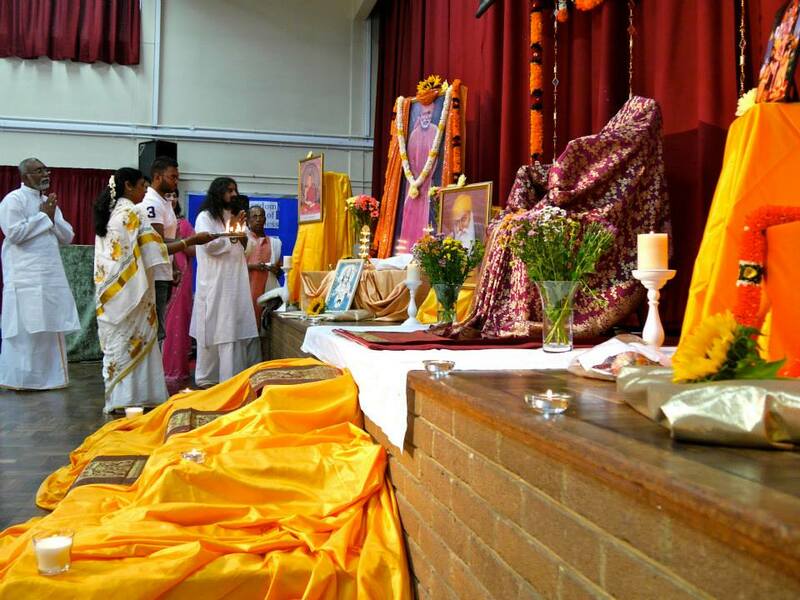 The second public Satsang with Mohanji was again held at the Oxheywood Primary School on 8th August 2015. The evening commenced with the Power of Purity Meditation by brother Rajesh. This was followed by a talk by brother Andreas who is selflessly creating a profound impact on our consciousness. Very simple – if everyone could spend a couple of minutes to meditate for world peace at a set time wherever they may be – the group energy created permeates every part of mother earth and beyond. Jayshree offered a wonderful Kirtan (devotional song) to the feet of Mohanji which touch our souls. Mohanji then answered many questions followed by ‘Shaktipat‘ to all present. It was an uplifting evening, filled with extraordinary love that suffused our mind, body and spirit. Thank you Mohanji, we are already planning for your visit in July 2016! There are simply no words to express the gratitude we feel for showering the UK with your love and blessings over the last 3 weeks. 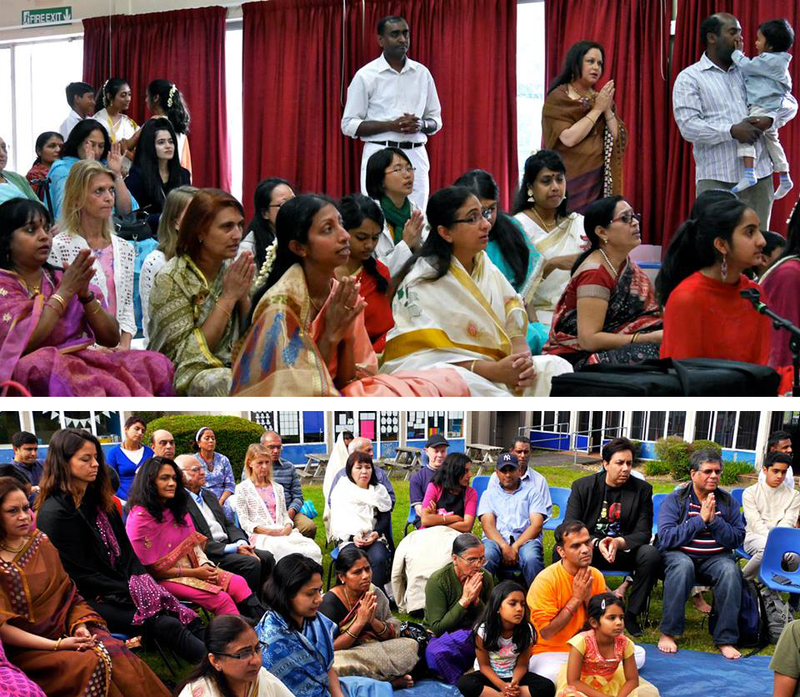 The UK retreat was the first held in the UK and the first with only vegan food. Neehal, the chef hired with experience working at Hilton Hotels, was a both delightful and troubling to the waistline. This was the first retreat where I had not lost weight!! Most would be fairly grumpy waking up at 4.00am for water therapy, but seeing Jay’s beaming smile and Mohanji’s energy surrounding our lodge at Gilwell Park removed all tiredness. Sister Biba and Sister Ivana really took pity on the group. They slowly developed various yoga postures during the next five days catering to our relatively limited capacity, the best part being the Yoga Nidra with many snoring unintentionally!! We plan to have a basic yoga video out before Christmas. The retreat was interlaced with Conscious Walking, many wonderful Satsangs, Shaktipat with Bhajans, Hanuman Chalisa and Arati all sung with overflowing devotion to all the masters. We also had the opportunity to go kayaking, canoeing, rifle shooting, archery and raft building – which all helped to ground the higher subtle vibrations. On the Friday mid-morning after an exercise looking at each other’s eyes, a profound shift occurred in the consciousness of the group, and tears of love are flowing as I write this now. Later on, at the public open evening, ‘you are all glowing’ was the feedback from one person. Also, Mohanji’s third eye was visible together with a pure stream white energy flowing into the top of his crown during the Satsang and Shaktipat. What a blessing. Pundit Gowri Shankar, who arrived from Mumbai the night before conducted a beautiful Homa (sacred fire). This fire was used to light another fire and pieces of paper (and a novel in some cases 😄), representing what we wanted to remove, were offered. The smoke generated was considerable and we all felt somewhat lighter. Mohanji, Biba and some of the UK team headed to Skanda Vale for the weekend. This was followed by busy schedule of Gurupoornima with global live streaming, public Satsangs, house and hall visits, and Consciousness Kriya Initiation before flying off to bonny Scotland for a week. Brother Raj will be sharing the Scottish experiences soon. 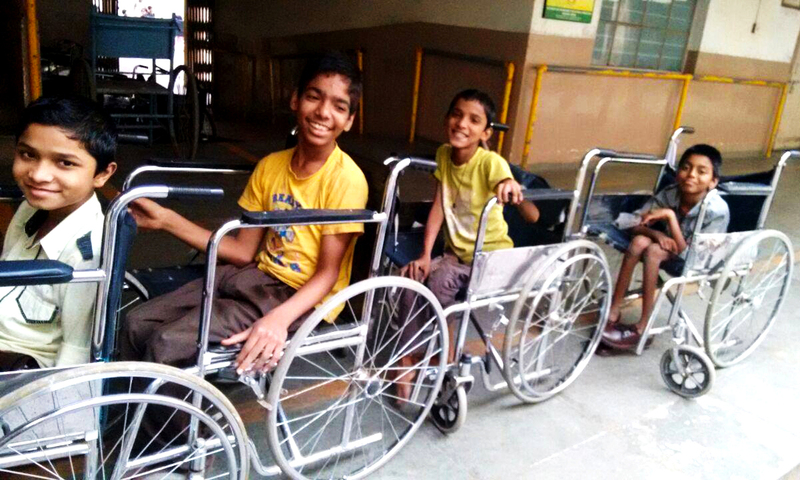 On return from Scotland, Mohanji’s swelling in his leg had disappeared, fulfilling one of the UK team inner wishes. There was one more public Satsang where Mohanji requested for the Shaktipat to be filmed. The energy flow was immense and I was close to falling backwards. 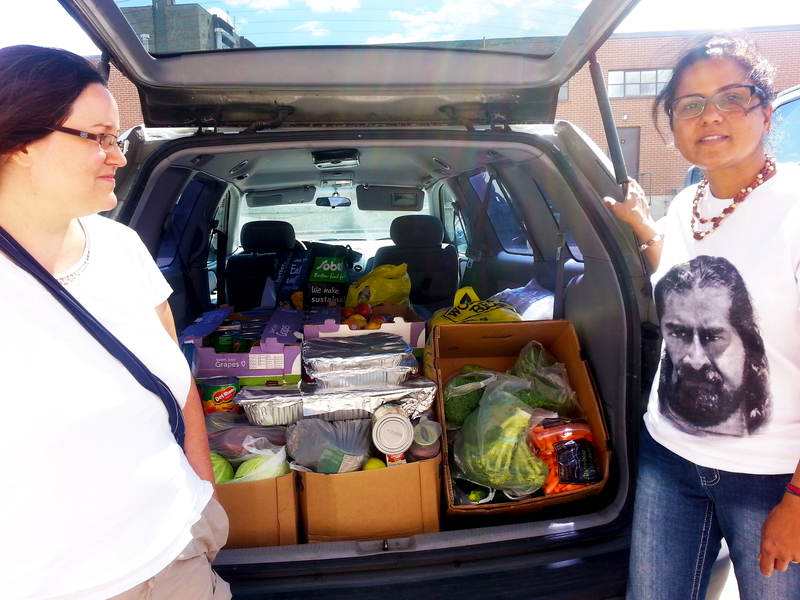 After a number of house visits and trip to Stonehenge, Mohanji was off on his trip to Canada. My only regret was not being able to give father and my dear friend a hug before departure. He lives in our hearts. This year, there were two full moons in July and we celebrated Guru Purnima on the second one, 31st July, expressing deepest gratitude to our Guru Mohanji and guru principle working through Him and through everything that surrounds us or even working through us. “If you have firm faith and conviction in your path, tradition or Guru, that itself will lead you, guide you. All you need is firm faith and conviction.” Read or watch Mohanji’s Guru Purnima Message 2015. 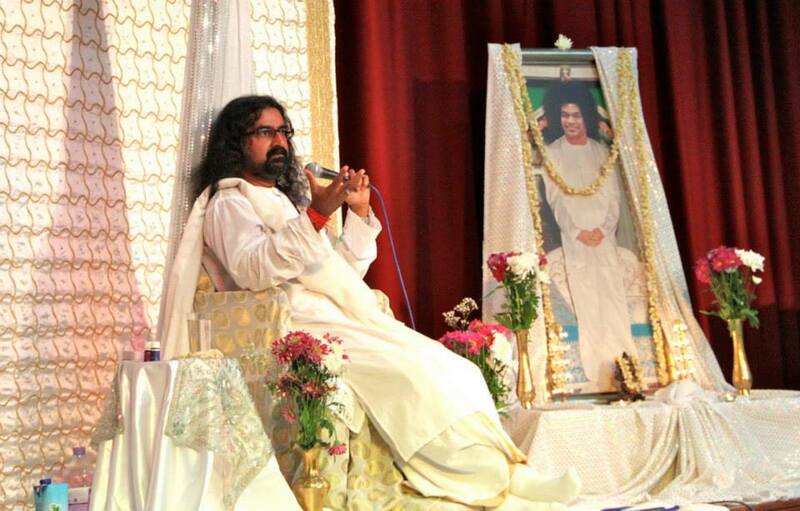 On this special day we enjoyed global Skype satsang with Mohanji which was hosted in the UK. You can also have a glimpse into how our teams’ hearts worldwide were touched and how they touched the hearts of others leading by example of wisdom and compassion. Live Skype sessions were live streamed with our blessed world families in Australia, India, UAE, Russia, Serbia and South Africa. After the Skype satsangs we participated in Hawan, Yagna and did Shirdi Baba Arati. 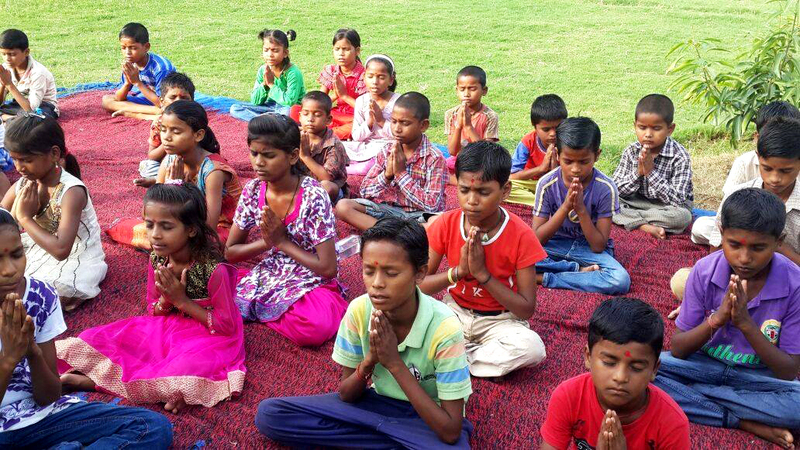 We also enjoyed Veda chanting, satsang and Arati. A wonderful Homam was performed by Pundit Gowri Shankar with AUMs seen emanating from the scared fire blessing the world and mother earth. 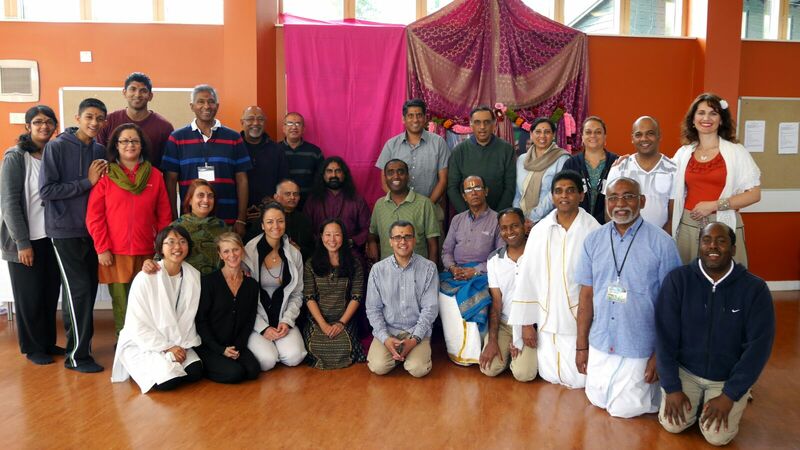 Everyone performed Arati with gratitude to all the masters who have been a beacon of light to mankind. Sri Rudram vedic chanting further purified all the elements of Gaia followed by an uplifting Satsang with Mohanji touching our hearts with profound wisdom. 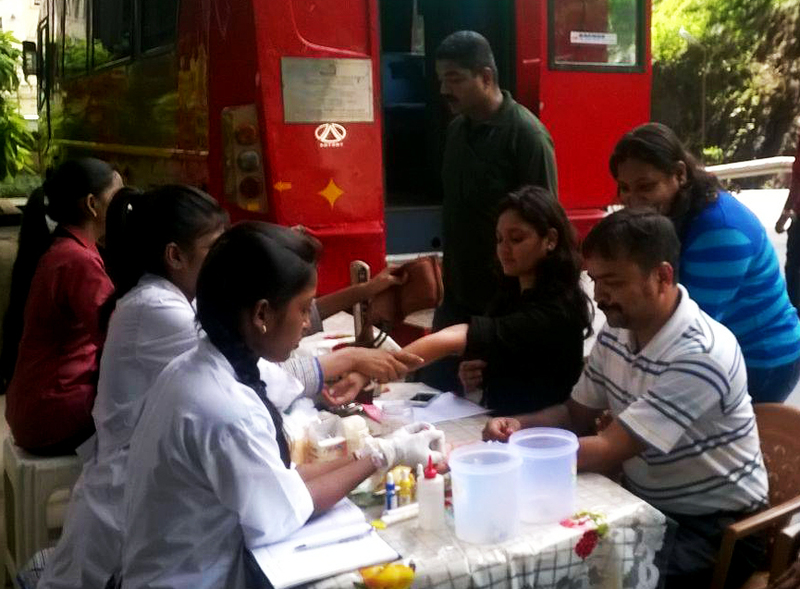 Special thanks to the volunteers – Preethi Gopalarathnam, Nikunj Naredi, Trishla Jain, Vidya Rajagopalan. Also, Vinod Chavan from Aranca for managing the logistics. 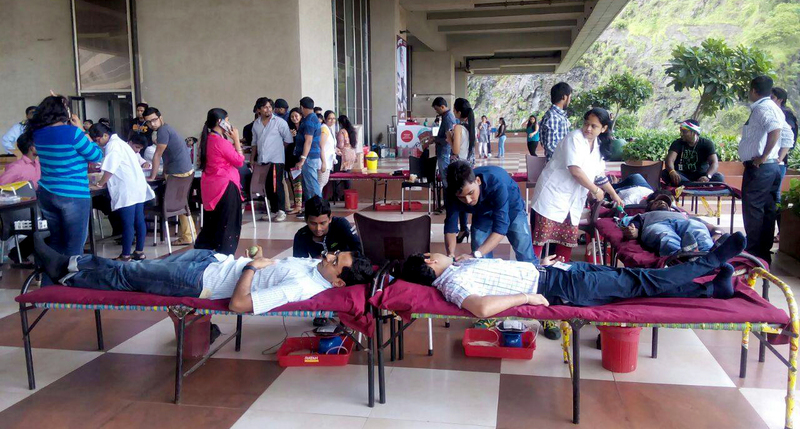 It was our first blood donation drive in Mumbai and it looks like the single largest blood donation to date (268 units). Special thanks to Madhusudan Rajagopalan for hosting the event and Ganesh Nair from Aranca for managing it successfully. The auspicious day of Gurupurnima saw a series of events dedicated to Mohanji and his teachings. 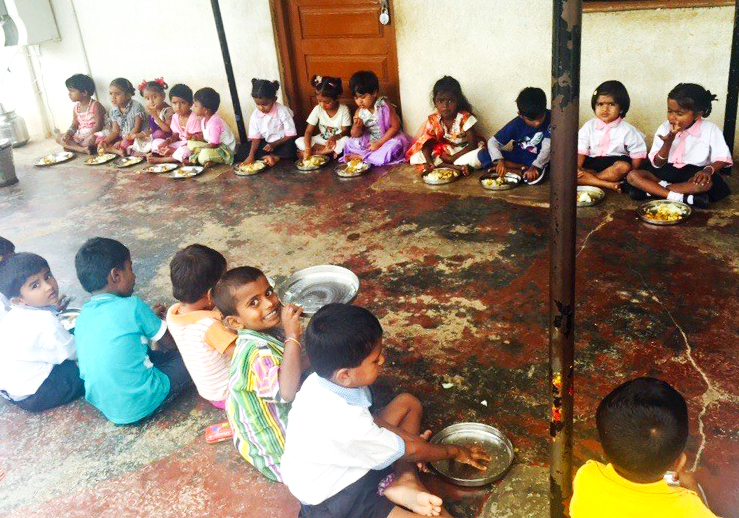 During the day, seva activities were organized. 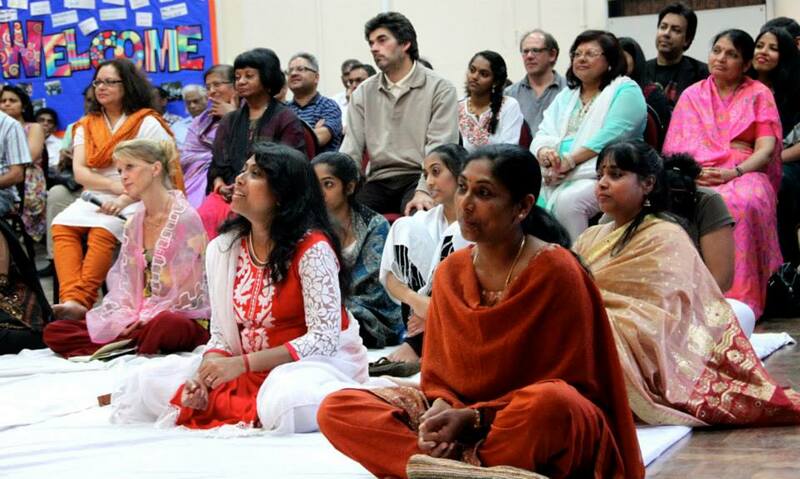 In the evening, 12 of us came together for chanting and meditation. 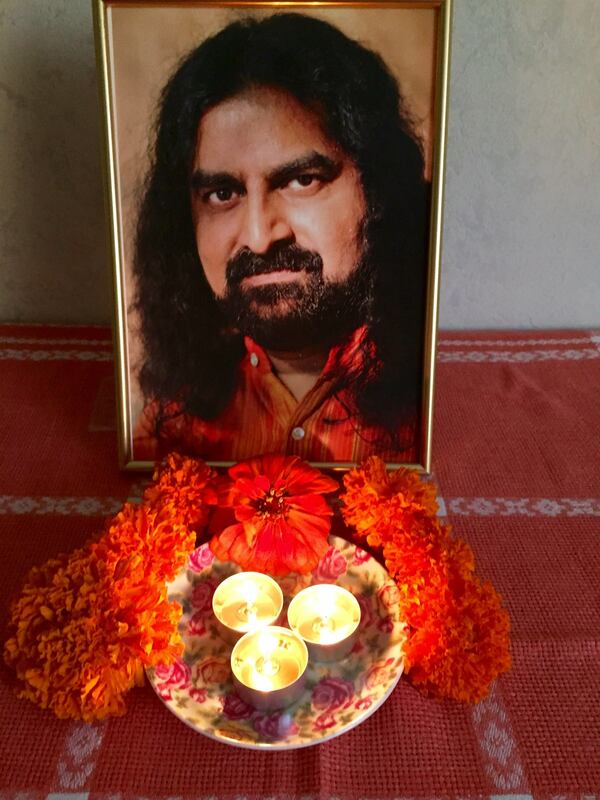 We first had the privilege of a 10-min skype satsang with Mohanji, during which we also did his aarti. Thereafter, the group chanted the Mahamrityunjay mantra 108 times for Mohanji’s health and wellbeing, followed by Power of Purity meditation. 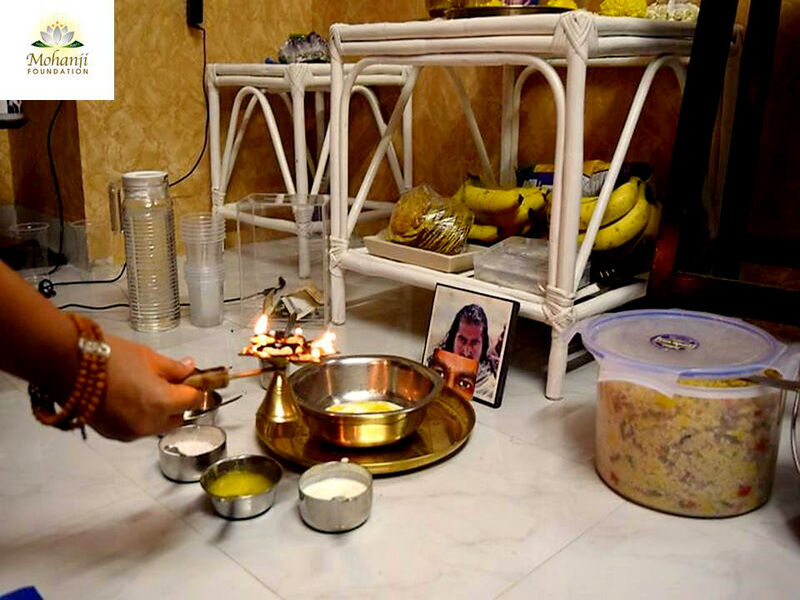 We then did a paduka puja and concluded with Mohanji’s aarti. Everyone partook of prasad after this and counted their blessings for being able to meet their Guru and for the events of the day. 2. On this special day, we had a deep Power of Purity meditation at Vodaphone Shared Services, EON IT Park, Pune. We were very warmly welcomed by the staff and the receptivity of people was refreshing. 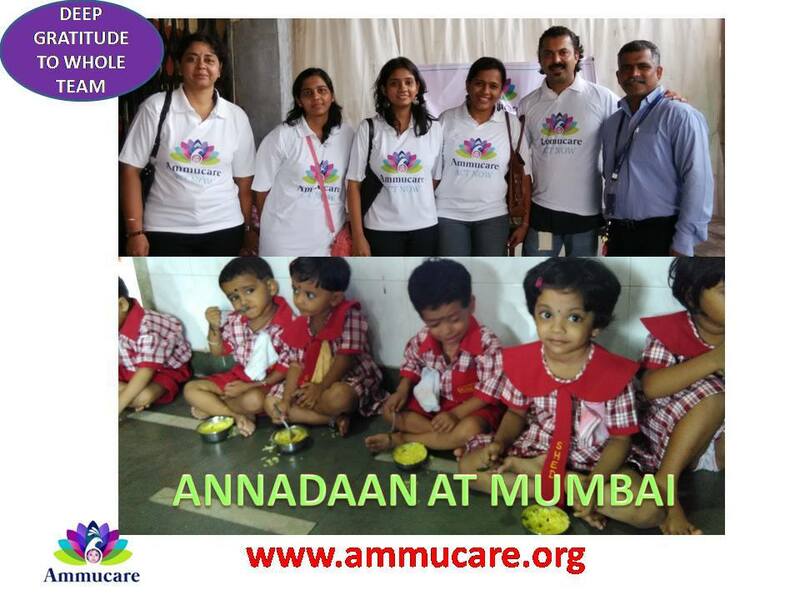 It was great and encouraging to see this initiative by the health and wellness team of Vodaphone Shared services. They certainly acknowledged meditation and Power of Purity as a great cleansing tool for the health and peace of mind of their employees. 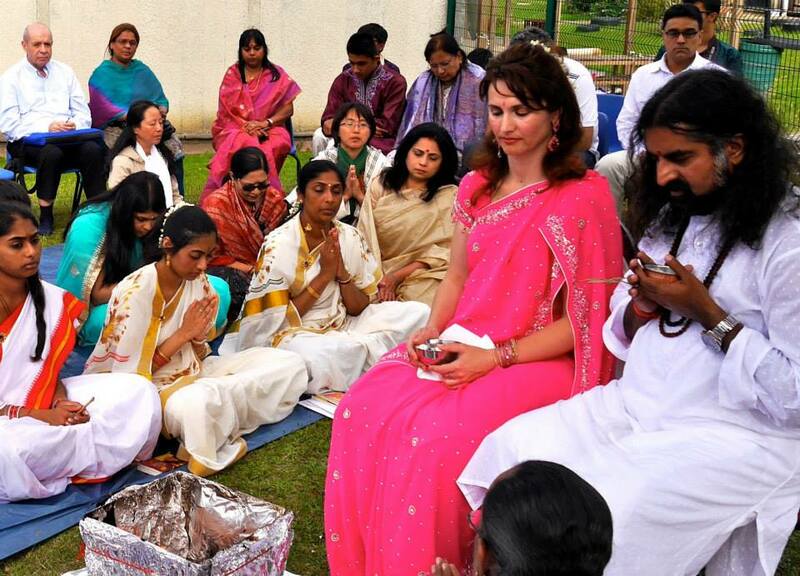 Most of the people gathered hadn’t practised meditation before but could go into deep state during meditation. Some felt floating, as if in another world and completely forgot about their body, the chair they were sitting on or that they were in office. Some felt refreshed and recharged after the afternoon session and looked forward to work with vigour and enthusiasm. A special mention to Mr. Ashish Deshmukh from the Health, Safety and Wellness division for extending all support to us. On auspicious occasion of Guru Purnima the team organized Annadan on banks of the river Narmada. 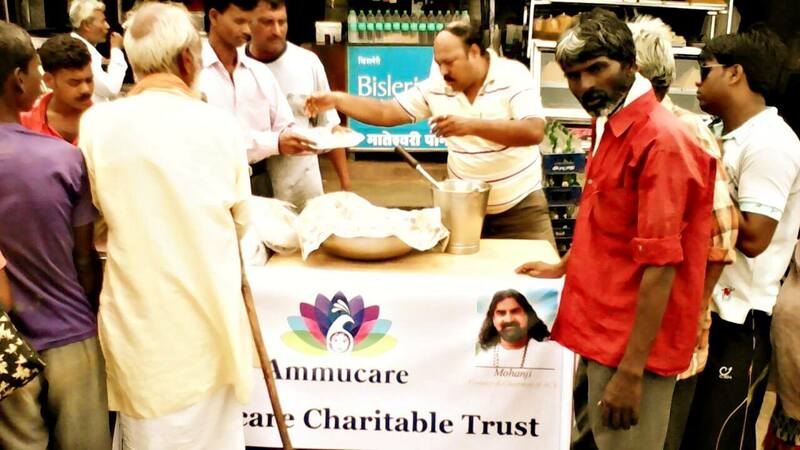 Annadan started with centuries old rituals of Aarti and bhog to the river Narmada. 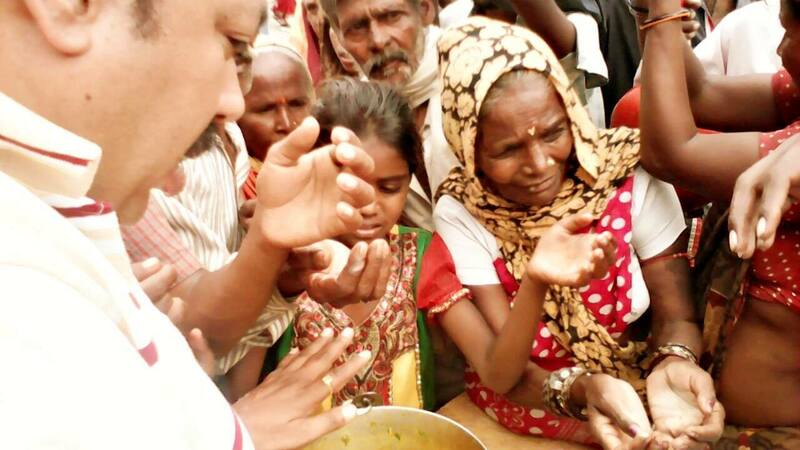 First food was served to cow and little girl considering her as form of the River Narmada. 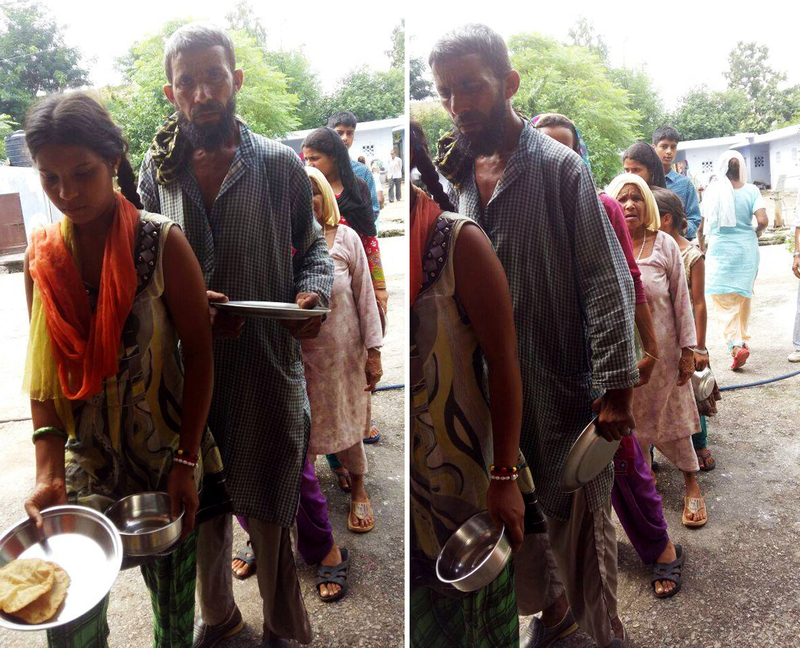 Around 200 people ate sumptuous prasad as whole meal. 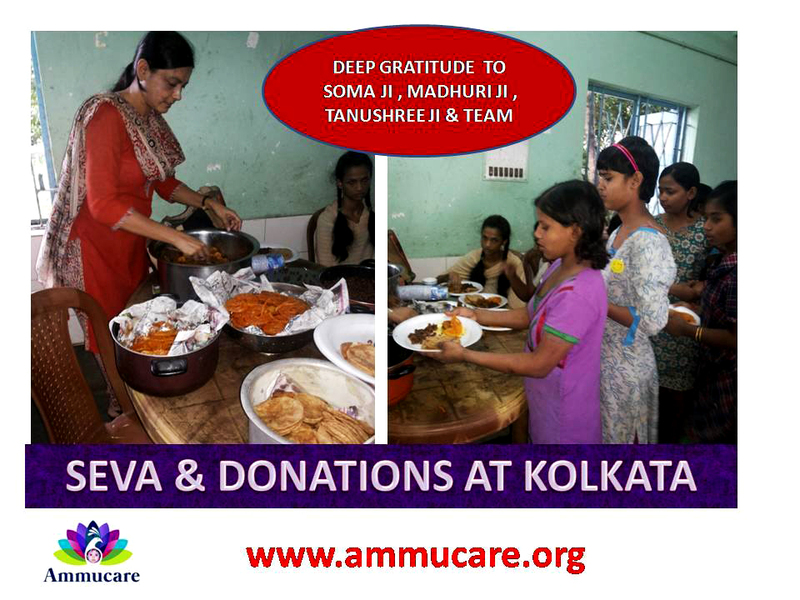 Ammucare extended its heartfelt thanks to our members Nripendra Chauhan & Deepak Parekh for organizing such beautiful seva activity. 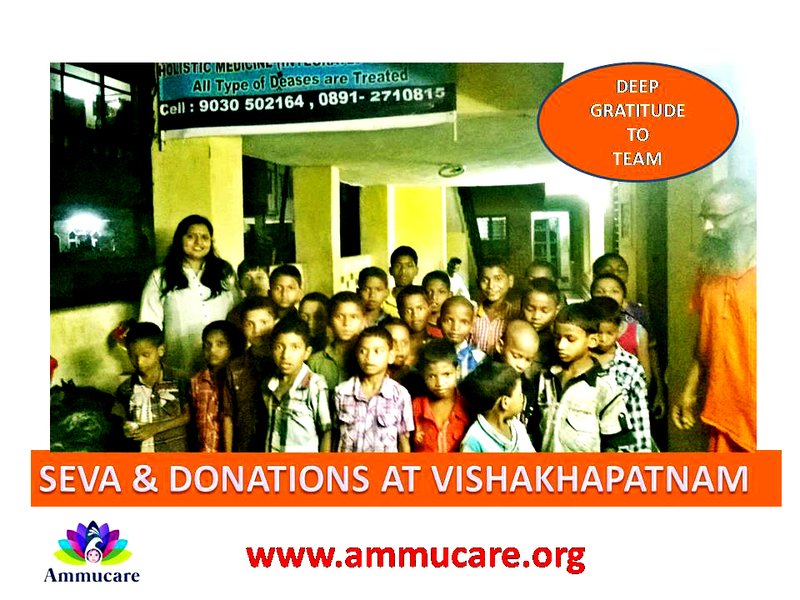 “What a fulfilling experience and a wonderful gesture by the organization. The Narmada amongst other sacred rivers in India holds a special place in our hearts for many significant religious events involving those rivers. 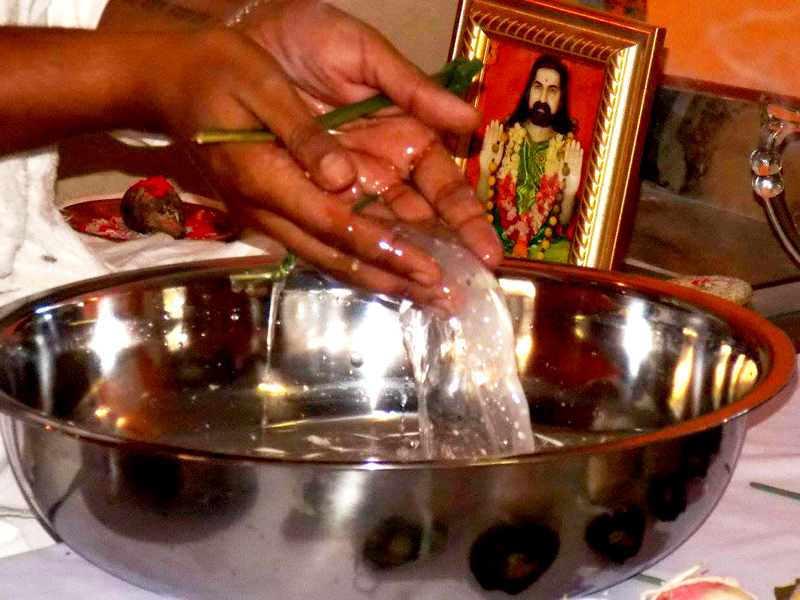 When I conduct prayers, I offer to the Lord water from the sacred rivers. 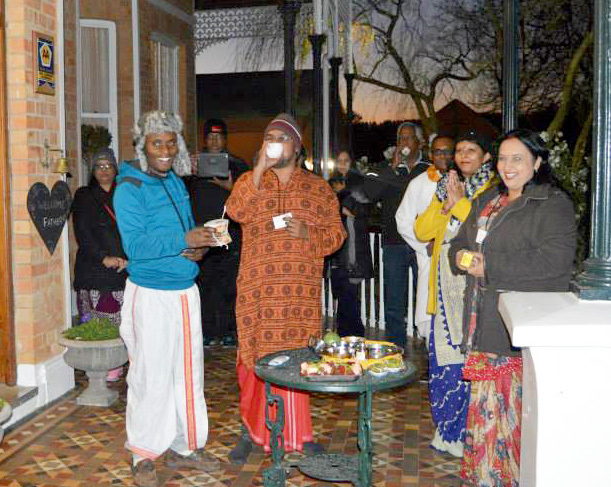 Blessed are those who have participated in that activity.” Kuben Govender said. 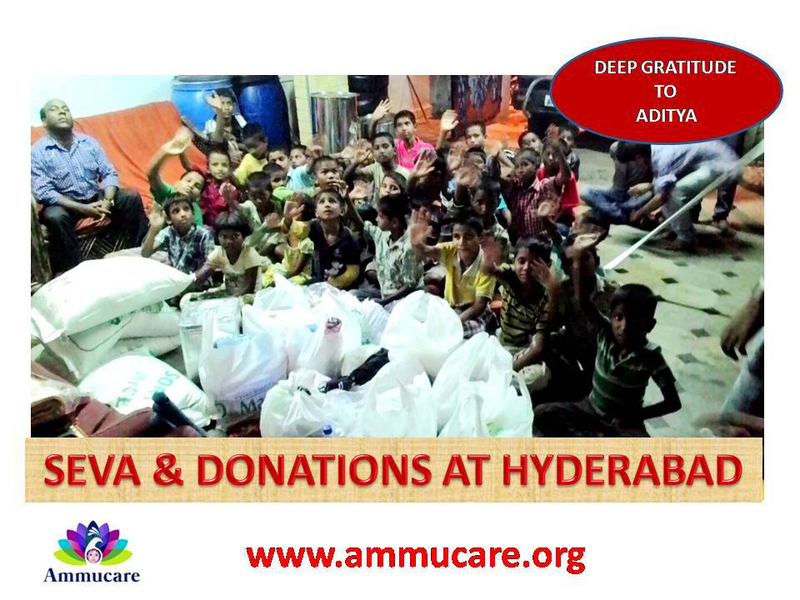 On auspicious occasion of Guru Poornima the Team donated full month ration and all essential toiletries at Ananda Marg Asharam which is home for 30 Tribal orphan children. 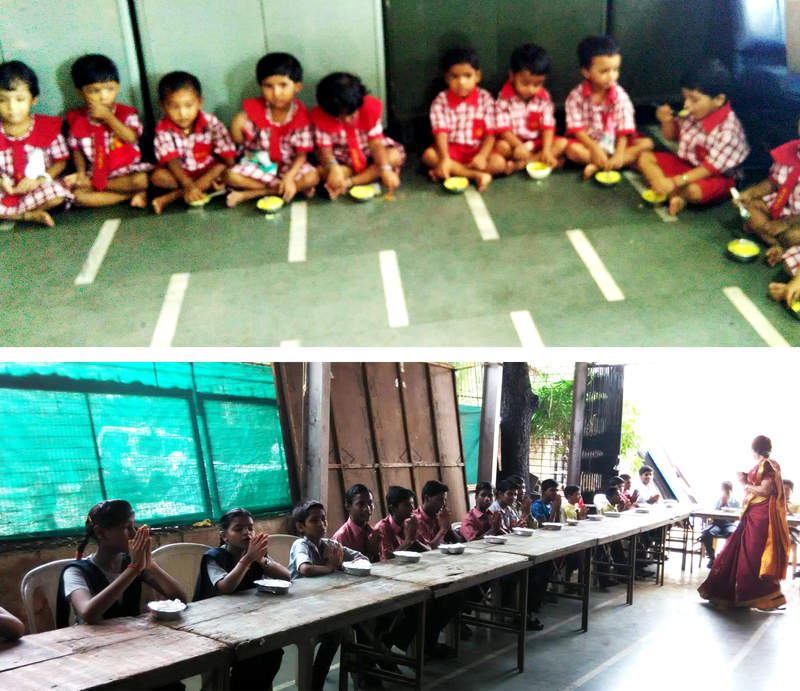 Team also distributed snacks and fresh fruit to all children and staff at Asharam. 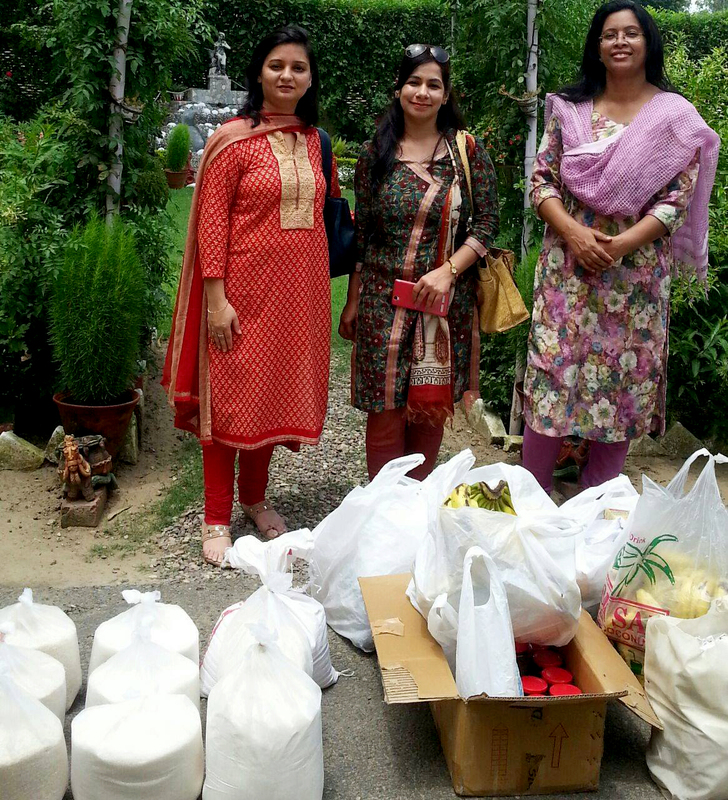 On the auspicious occassion of Guru Purnima the Team in Kolkata distributed food at Sukanya Orphanage for girls. 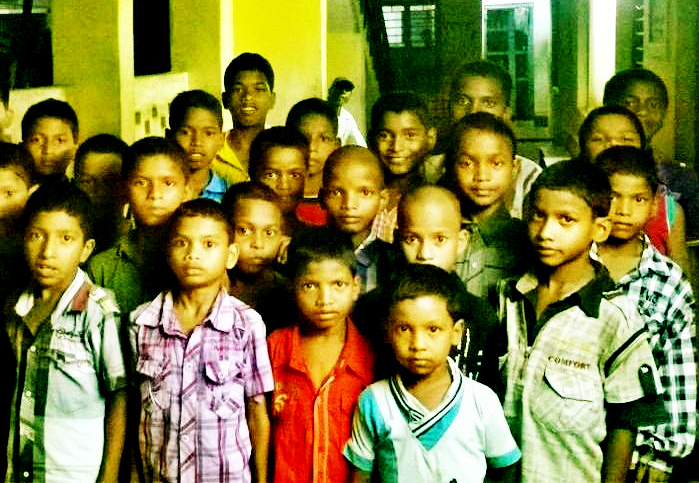 On the occasion of Guru Poornima Annadan and donations Seva was organized at Aadarana an Orphanage home for boys. 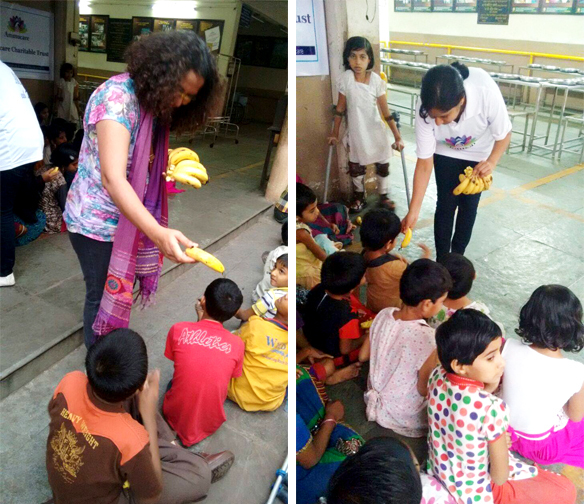 Our loving Team at Pune visited Apang Kalyankari Asharam on Guru Poornima. The Team donated fresh fruit, 230 notebooks & Geometry boxes for all children. We had a deep Power of Purity meditation at Vodaphone Shared Services, EON IT Park, Pune. We were very warmly welcomed by the staff and the receptivity of people was refreshing. 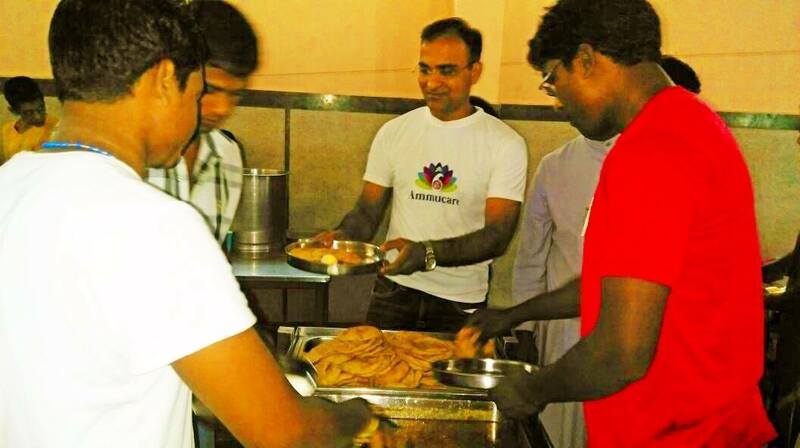 It was great and encouraging to see this initiative by the health and wellness team of Vodaphone Shared services. They certainly acknowledged meditation and Power of Purity as a great cleansing tool for the health and peace of mind of their employees. 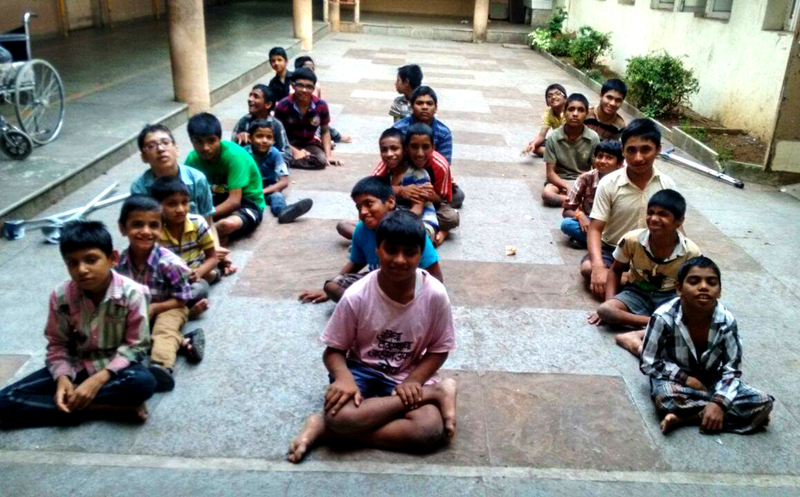 On Guru Purnima our loving team at Banglore organized Annadan at blind school for children. 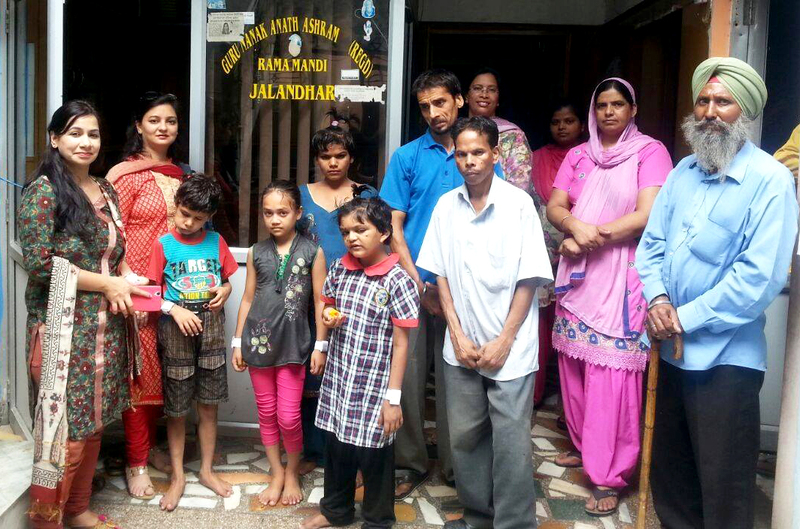 The Team in Gurgaon organised Annadan and donation at Ananada Asharam. 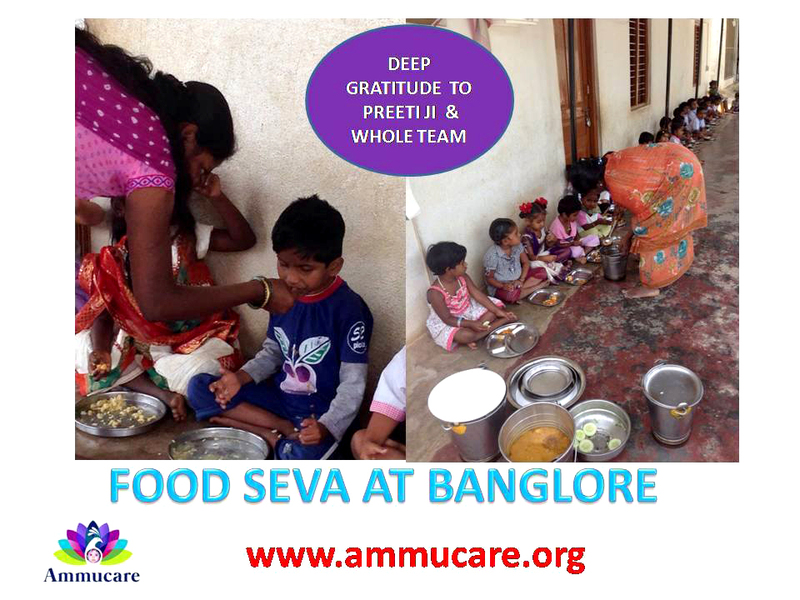 The Team organised food seva at an orphanage. 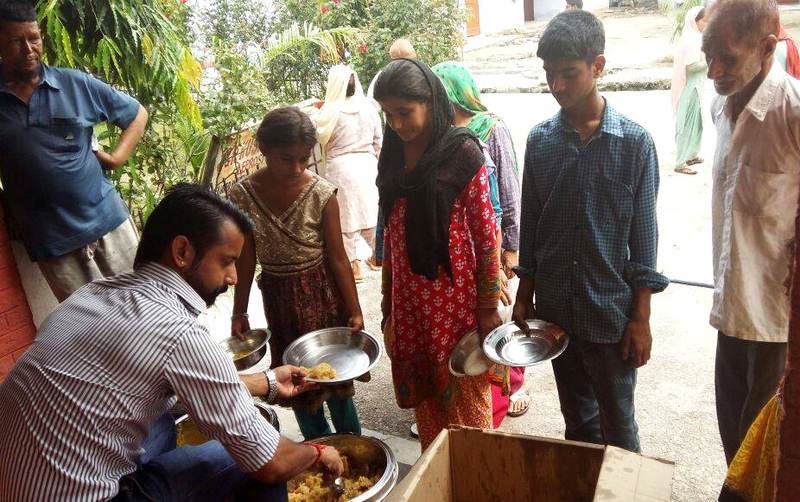 Read how Yashik Singh expressed Gratitude on Guru Purnima. “One this very special day of Guru Poornima 2015, Mohanji has showered his grace onto us and has changed the name of Merudanda Ashram. He has blessed us with the new name of DATTATAPOVAN. This name comes from the three root words, Dattatreya, Tapasya and Vana. Tapasya means austerity, and intense spiritual practice. Vana, meaning forest, or wilderness. So the new name refers to the forest of Lord Dattatreyas spiritual practice. A place where lord Datta lives. A place where he is always present. This again confirms the blessing that Mohanji is always at the ashram, and is always there to provide comfort and direction. Thank you so very much for this great blessing Babaji. You are the most merciful,” says Yashik. The Dattatapovan Ashram, is a small but growing temple dedicated to the Divine. The principle deity is our Guru, Shree Rajayogi MohanJi. 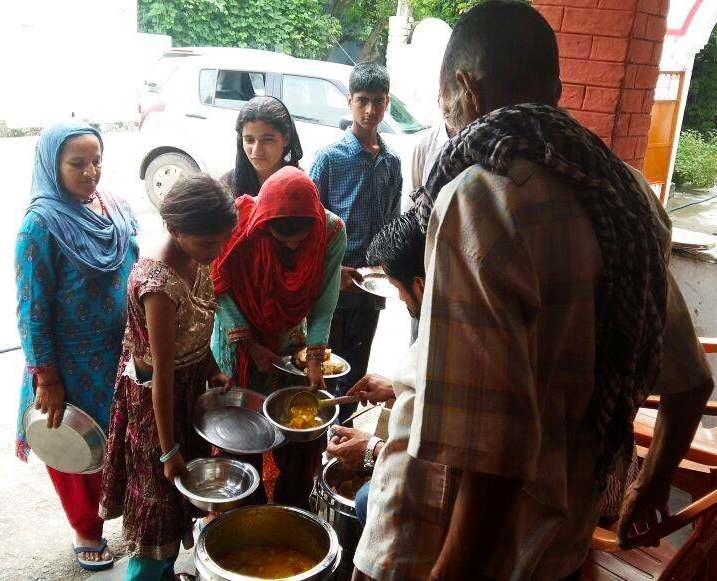 The temple is a place where everyone is welcome, irrespective of caste, race, religion or sexuality etc. In the eyes of the Divine we are all one, we are all eternal beings of light. 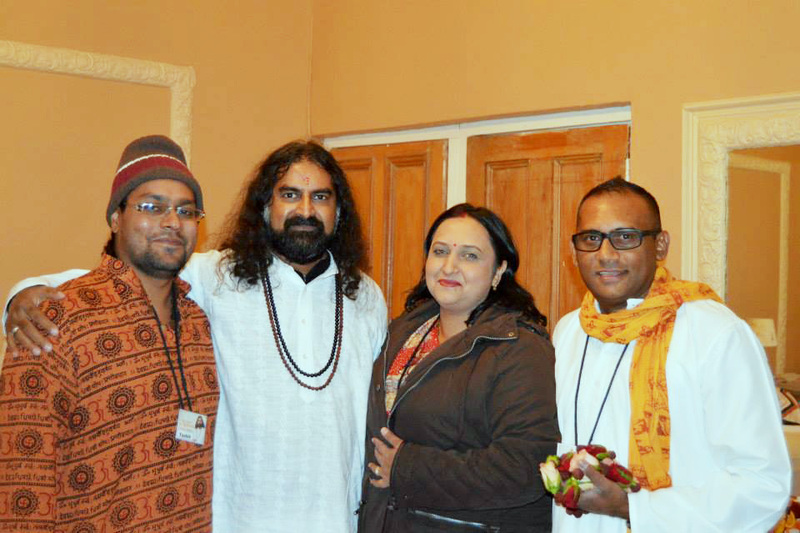 Dattatapovan Ashram is based at 4 Luton Place, Westville North, Durban, South Africa. It has been blessed by Shree MohanJi to be a shakti-Stanam, a seat of Divine energy. This can be felt as soon as you enter the temple. On the auspicious evening of Guru Purnima I lit a candle to offer gratitude to all the Gurus in my life, including life, which has been my biggest teacher. 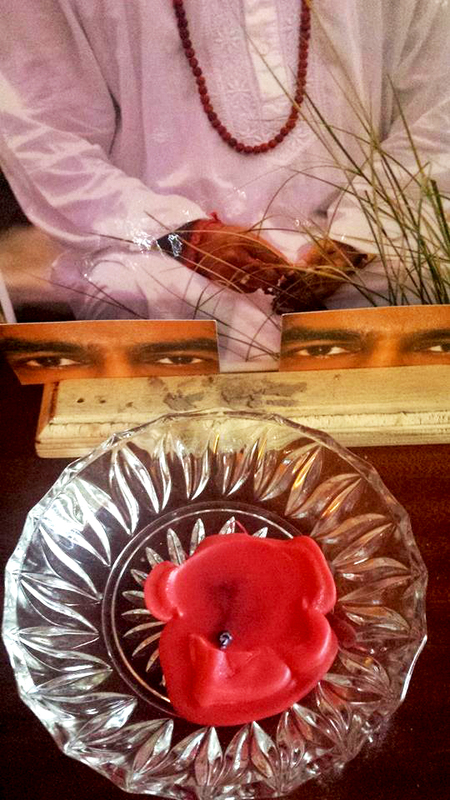 The next morning my mum noticed a Ganesha (Remover of obstacles) in the candle wax…I know that all obstacles are being removed through the Divine’s grace….eternal gratitude and incredibly blessed. 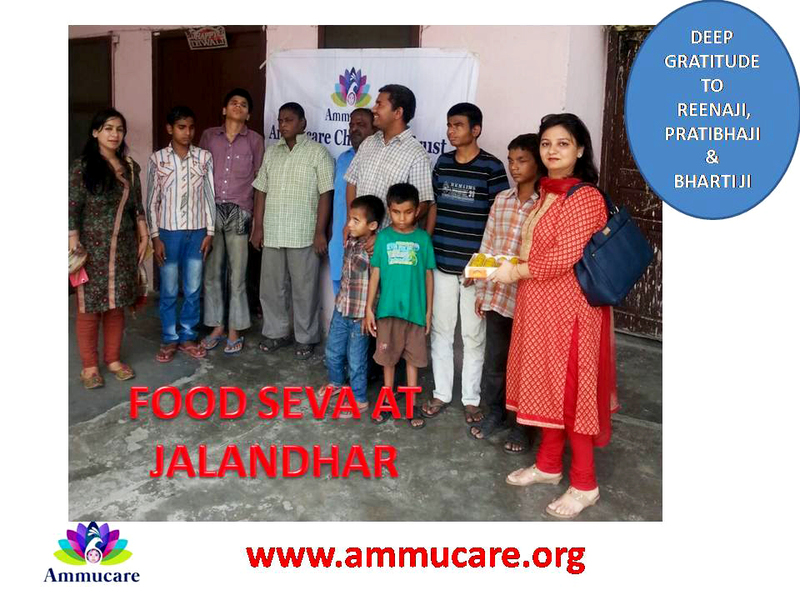 The team from Canada distributed food as charity. Thank you our dear Guru. 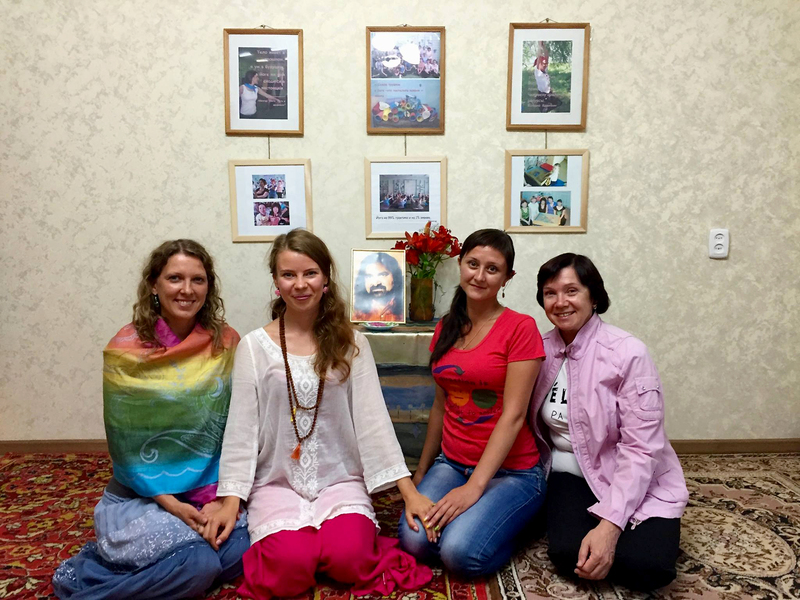 We’ve already had several Power of Purity meditations in Russia. Some people who are really sensitive and open to this light want to meditate every week. 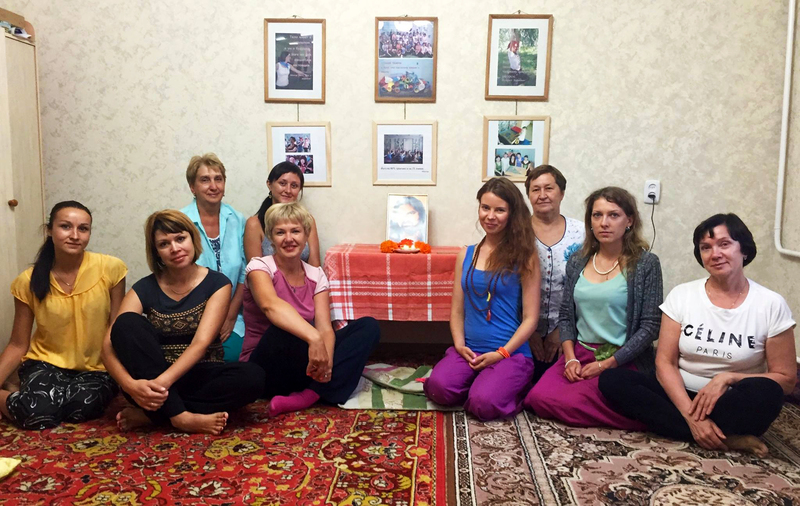 It may sound surprising, but we do have meditations every Thursday in our small Siberian town. :)) You are always with us, Mohanji, we know it, we feel it. Mohanji there is an ever-growing community here in Australia and New Zealand of people who are becoming consciously, or unconsciously transformed by your blazing light and immense purity. On this occasion of Guru Purnima 2015, please receive the most sincere and fervent regards, respects and wishes for your strong robust health, protection, success and happiness. From Rada in Western Australia, to Smriti, Anjali and the dedicated group in Melbourne, to Sydney, to Steve OM in Northern New South Wales, and to the many lives you have touched through your meditations on the Sunshine Coast in Queensland and in the Whitsundays region of North Queensland with Caroline, and all the way across the Tasman Sea to New Zealand where Sandra Naidoo sends through a very special thank you for all you’ve done for her and her family. We love you Mohanji! Words simply cannot convey the gratitude, love and devotion that is flowing to you today from this part of the world (and so many others !). 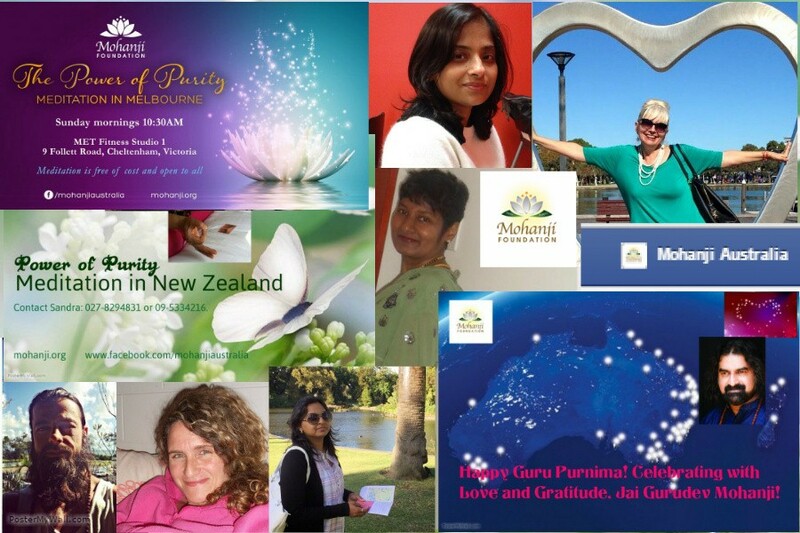 We are all looking forward to your visit to Australia and New Zealand in 2016. It is hard, because it seems so far away! Many are longing to finally meet you in person. Mohanji today we cherish your Grace and honour you! Thank you so much! Om Sri Rajayogi Mohanji Namah Aum. Om. Om. Om. Written by Yashik Singh This post is probably one of the most personal posts I will write. It deals with the mercy of my Guru. It deals with how loving the path is. It deals with the unconditional love Mohanji has. Yes, I will describe some very personal incidents, which I am reluctant to share, but they clearly show me how merciful Mohanji is. So when reading this post, in no way is it an ego trip. It’s just me trying to explain what is in my heart, and how Mohanji has fulfilled everything. 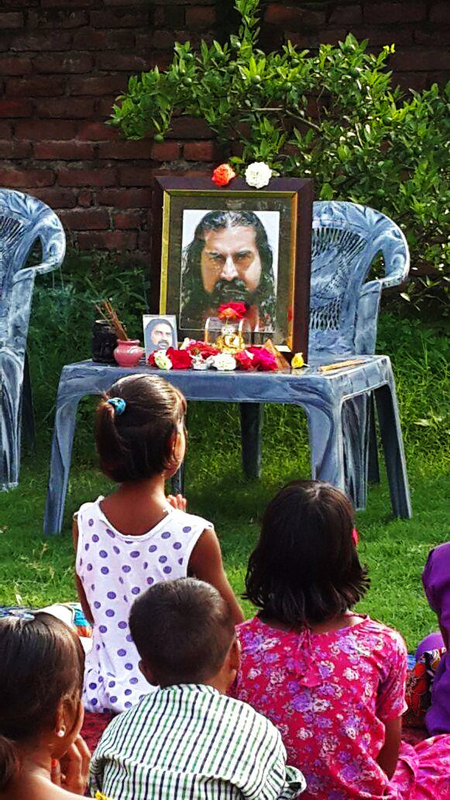 It’s just a child telling his friends how Guruji changed his life. For as long as I can remember, I have felt that I was a little different. Cars never attracted me, new clothes never made me happy, money was never a measure of happiness, and even friends did not cause an attachment. It was difficult living like this, especially when you tried to explain your feeling to people. 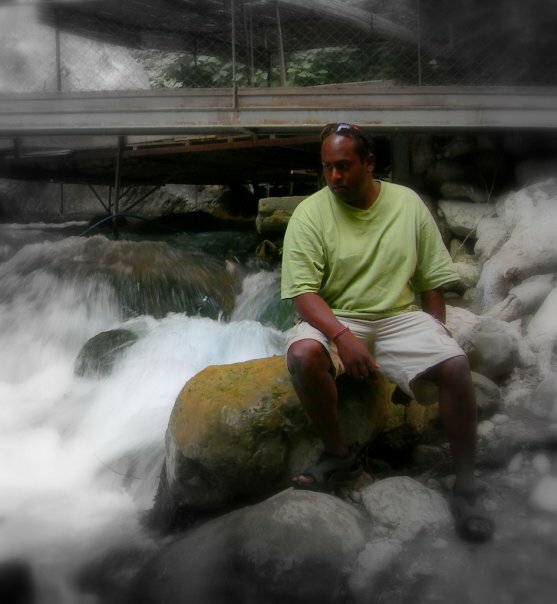 All I wanted to do, was to be alone….lol and I thank my parents for only having one child…can you imagine what would have happened if I had a sibling…oh gosh!!!! When I started university, my direction was moved to studying. This was the only thing on my mind. At that time, after being exposed to some of the most intellectual people in the scientific community, I DECIDED that this was my path. My plan….to be Dr Singh by the time I reached 35years, and Prof Singh by the time I reach 45yrs. Academic life became my passion, publishing in international journals, writing artificial intelligence programs for health care. Everything was going according to plan. I achieved a PhD at 30yrs and am the only person in my continent with the qualification I have, and maybe one of 10 people in the world. But there was something missing…..Even though the “Dr Singh” happened…..it was not giving me peace. As I saw it, my life would be purely academic while I slowly and individually moved on a spiritual path. I met my Babaji, my Mohanji, just before I graduated. 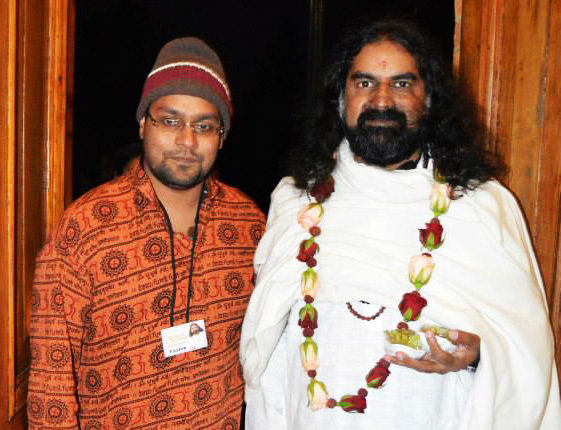 At this point, I was put onto the path by Guruji and work and studying was going well. I had everything that I wanted….and was walking the destiny I had decided and planned for years on end. But if I was honest to myself, I was not happy. The biggest part of me was missing. But what was it. So I decided to take an entire day and just think about what I want in life. To think about what I want to be in this life…..and then it dawned ….I knew that my happiness is in being Mohanji’s devotee. And then it happened…..something came over me and there was crystal clarity. My experience in this life, is to become a Sanyasi. My job in life is to become a Swami. And peace filled me completely. This was not a decision (like the other phases of my life)….this was not a process of logic….not even a process of deduction…..it HAPPENED…it was a spontaneous flow of grace. Looking back, I see that this step was taken for me. Everything I have been through brought me to this point. Every piece of joy and happiness as well as heartbreak and sadness, carried me to this point. Mohanji immediately gave his blessings to me. And I can’t explain the joy that filled me. I was walking in the middle of a shopping mall when I read his message, “I shall install you in the path when I come there. Meanwhile Swami XXXXXXXanada is rightfully yours. Think over carefully. I know you won’t (deviate) and you have my blessings for that.” I stood still in the mall, and just smiled. Mohanji’s grace was flowing. He knew the most important thing to me is to be his devotee, and he without hesitation agreed to it. Becoming a Swami is as Mohanji says “This is a big and bold step. This must be considered seriously and with perfect conviction”. But what does becoming a swami mean. This may sound morose, but becoming a swami means committing suicide. It means letting go of all your personal ambitions, your ego, your desires and translating them into the ambitions of your Guru’s purpose, filling yourself with the identification of your guru and becoming one with your sampradaya. Becoming a swami means letting go of your own identity and filling yourself with the identity of your Guru and your Sampradaya. Being a Swami means protecting the sampradaya. A few days passed, and I began to wonder if I was ready for this step. I thought that maybe Mohanji is allowing this just because he loves so unconditionally. In my mind I spoke to him, and I heard him say that I am ready and he will send me a sign that I will not be able to refute. An hour or two after that, I got an email from a devotee from Stanger. She described how much pain she was in as she had lost her mum. She was sitting in her room and suddenly the room lights dimmed. And she heard a voice at her bed say that she is not alone and she should not be sad. Immediately a change came over her. She felt light and happy and felt as if all her burdens were removed. This voice slowly appeared into an image and she described to me at length how compassionate the eyes were and how loving the smile was. Immediately I thought she is so blessed, and she saw Mohanji. But no, Mohanji chose to appear not in his regular form, but in my bodily form before her. This was shocking to say the least. How merciful is Mohanji. He chose my form just so that he could give me a sign. He did so much because his love is so unconditional that he does the most non-egotistical leelas. This was my sign…and I never questioned my readiness again. Because this made me realize one thing…it’s Mohanji that’s doing everything. It’s not about my stature or my connection or my readiness…..it’s about Mohanji’s mercy!!!! The entire process of initiation into a swami in the nath Sampradaya, is all internal. It is the grace of the Guru that flows to you. But on the outside, certain steps are taken. The first is to do your own funeral rites….for two reasons….you do it now, so that even if there is no one around to do it when you die, your last rites are done. But more importantly, it symbolically shows your death, Yashik died to this world. Yashik died to his family and to his friends. It was symbolic of killing Yashik’s ego. The last rites took two days to perform. All the offerings that need to be made on the day of the funeral as well as all the ceremonies were done. I started the last rites in my normal state of mind, just thinking this is symbolic. Little did I know the change that was happening in me. Towards the end, I lost all identification with this body and it lasted for a week. I felt that I was moving in the body, but I was not in the body. 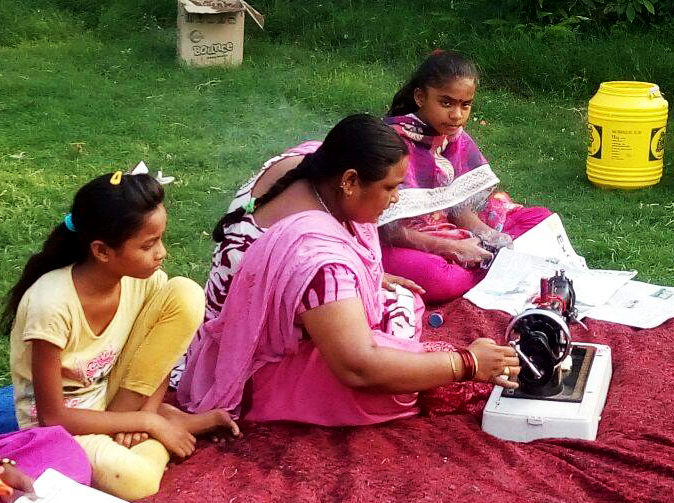 As I offered each pinda, as I offered each tarpana, I could feel a piece of me leaving. Eventually all that was left was a shell. A shell that was left for Mohanji to fill. The day finally came. 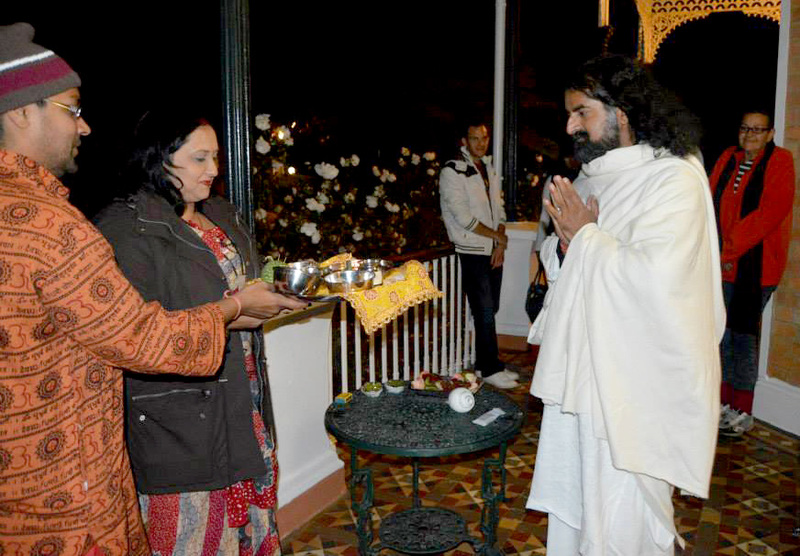 Mohanji asked me to seek the blessing of the deities in the ashram and the blessings of my parents. I must give a special mention to my parents here. They had to sacrifice their attachment to their only son. Not many people could do this. Mohanji prayed to Lord Datta and asked him to bless me and allow me entrance into his Sampradaya. Mohanji lead me in front of NagaRaja Vasuki, and poured three lotas of water over me. The first purified the body, the second purified the mind and the third purified the intellect. As Mohanji poured the water over me, I was surprised that the water became hotter and hotter with each lota. By the third Lota it was as if I was having a steaming hot bath. I had put the water in the lota, and I knew they all were cold water. Mohanji: an Experience of Attributeless Existence? There are two stories that have always fascinated me. One is that when a photo was taken of Shree Ramakrishna Paramahamsa, nothing appeared until his permission was sought. The other is the fact that a camera could not catch the image of Shree SaiNath Maharaj, until his permission was obtained. These stories gave me faith about the divinity of these Masters and how special they are. How extraordinary they are. I mean, bending the laws of physics as we currently understand them…..who but someone of their caliber can do it. Mohanji called me to his room during his stay in Durban. He explained that we needed to take an image of his feet and send it to India. Ok…so it’s a simple task right…..I like to think I can use basic technology, so my first thought was to use a scanner and scan his feet. Very pleased with myself, I brought the scanner to the room and connected my laptop. I gently placed Mohanji’s foot on the scanner bed and used Adobe to create the scan. Of course in my mind I said to myself I have this aced….how efficient am I!! Hahaha hmmmmmm…. The scanner began to scan, the lamp moved through its cycle and I looked eagerly towards the laptop to see the image…..The Adobe software opened the document made, and….It was BLANK!!! Nothing had scanned!! The light of the scanner did not catch any image!! Of course my logical mind said, well maybe it’s your computer that’s not working. So we used the copy option on the scanner itself. Confident this would work, I pressed the copy button. I could see the page come out of the paper tray, I could hear the printer do its thing, but again NO image came. Mohanji laughed and went to the living room to meet some guests. What was going on?….I tried to copy my hand by pressing the same button on the machine….and it worked!! An image of my hand was printed out as expected. 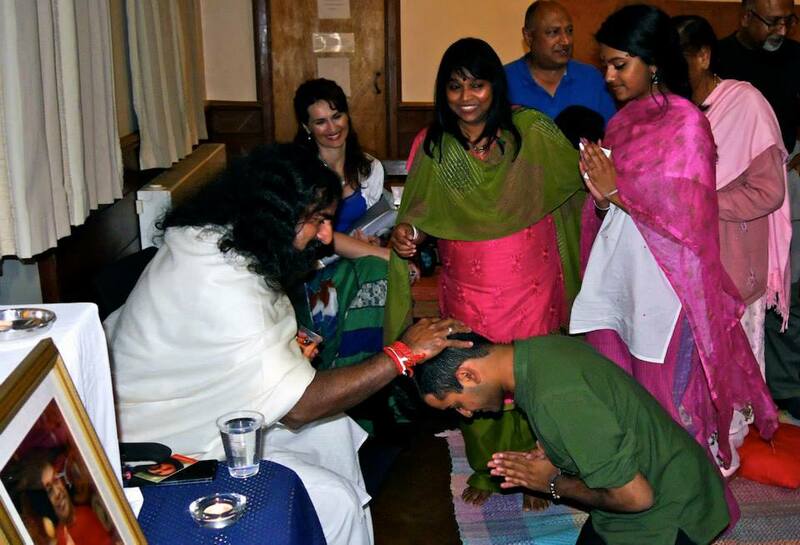 OMG….oh my Guruji!!! What was happening??? Wow!!! My mind raced to the stories of Shree Ramakrishna and Shree SaiNath Maharaj. So I called Mohanji and this time I decided to use sindoor to create the image. But this time, I prayed first hahahahah!! I prayed to be allowed to take the image of his feet and to allow the image to be imprinted on the paper…….and that everyone must be able to see the image. ..hahaha. ..I wasn’t taking any chances lol. Mohanji knew what I asked and he just laughed hahaha. 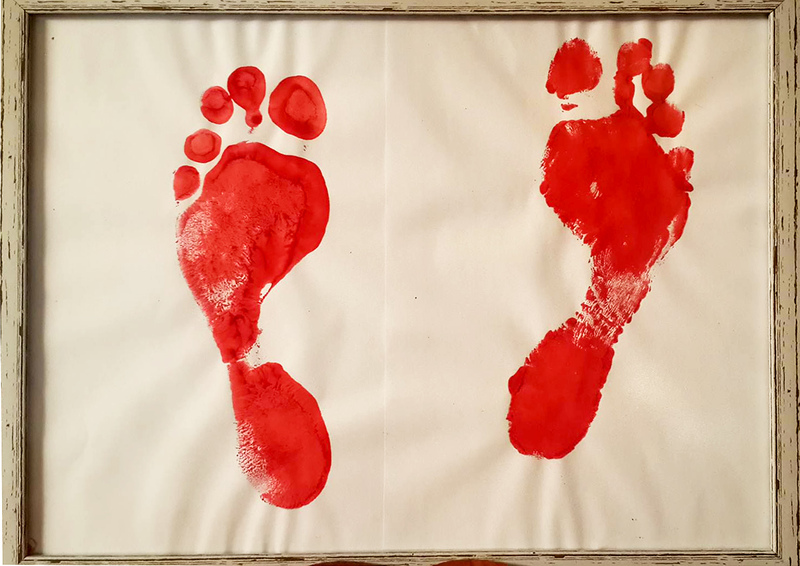 And with lots of joy, we applied the sindoor and he pressed his foot on the paper…..and after getting his permission, the image of his feet was caught. I have been thinking about this amazing incident for many days since Mohanji left. Yes, it shows the caliber of the Master that is Mohanji. It shows how blessed we are to have a Master like Mohanji in our life. However, this gave us two important experiences which did not even dawn on me when I read about Shree Sai and Shree Ramakrishna. The first thing I realised was the experience that Mohanji is not a body, but the Gurutattwa. How can the guru principle be caught on a scanner? We read all the time how Mohanji is not the body, but for the first time I felt it. For the first time it dawned that Mohanji is not just Mohanji, but he is the entire Nath and Kriya sampradaya. 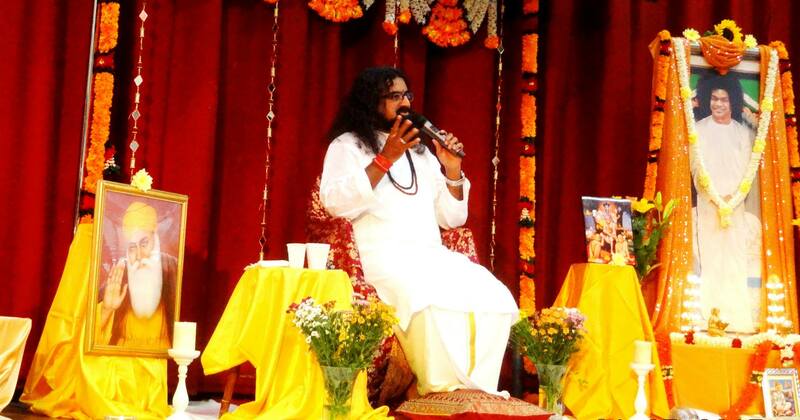 When Mohanji speaks, it comes with the energy and authority of millions of Gurus from our tradition. It comes with all the tapasya and penance of all the gurus and saints of our tradition. 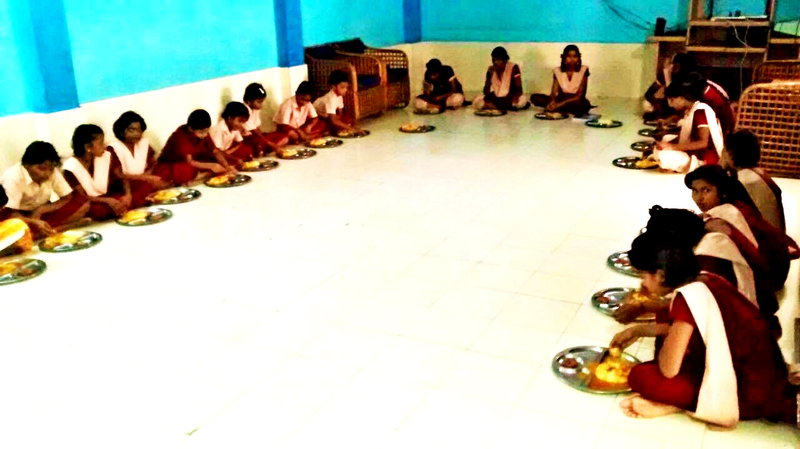 Mohanji is a tradition, Mohanji is a sampradaya on his own….. The second thing that this experience made me understand, is that we too are not the body. The thing I love most about Mohanji is that he makes you experience yourself. It is not about how divine the Guru is (and he is lol), but it’s all about how divine we are. There is no difference between our body and Mohanji’s. They both are made of the same DNA, the same nucleotides. Our minds are the same, well at least in a physically structural way. Our souls are made of the same material…..so why are we different?…..and then it dawned on me……”you are already limitless, you just place limits on yourself”. This one line of Mohanji’s suddenly made sense and I realised this is the entire Vedas explained in one line!!! We are perfect as we are now. We are free as we are now. We are divine as we are now. We just need to remove the limitation of duality from us. Merging with the divine is not becoming something different, it’s becoming what you are. It has taken a while to write this. Not because there is little to write about, but because each time I sat to write, I thought of Mohanji…tears filled my eyes and I stopped writing. And this is the magic of the Mohanji Experience. His physical presence comes into your life with the brightness of a billion suns and brightens every corner you allow him into. And as quickly as he changes your most inner self, his physical presence leaves. And you are left with a divine clean space and an overwhelming sense of gratitude. A gratitude that can only be expressed with tears. Not only have I felt this, but so has each person that spent time with Mohanji. This is what Mohanji is……an experience of awareness and gratitude. The three weeks that Mohanji spent in South Africa is something that cannot be easily articulated. It can only be felt. But over the next few posts I will try and describe each of the major events we had with Mohanji. At the outset I confess that it will not do justice to what we experienced. Just as how one cannot describe the warmth of the Indian Ocean or the tenderness of a cat’s purr, how can one describe a single glance from Mohanji, a passing pat on your back, Mohanji rubbing your shoulders or driving you while on safari. We will leave this post exclusively for describing the retreat in general. We will post more about other wonderful experiences and specific events that happened during the retreat in separate posts. 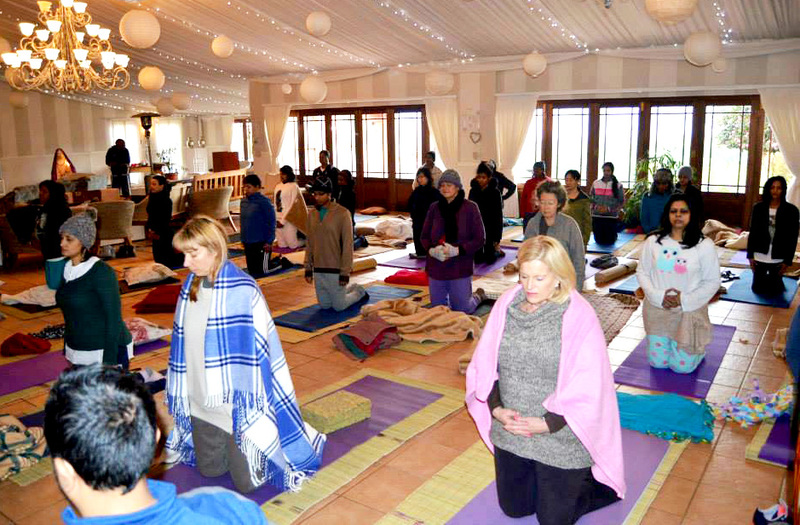 The planning for the retreat started with a simple decision….South Africa will host its first retreat. That was all that was required to get Seemaji, Ramesh Bhai, and I rolling. The first step was finding a place to host the retreat. Sounds simple enough….but this was a huge challenge. We needed to find the perfect place. 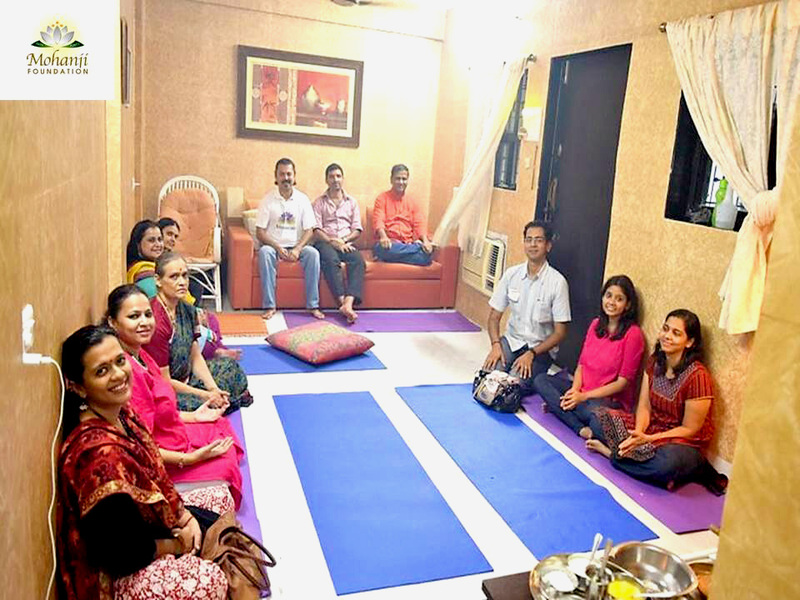 One that was conducive to a spiritual event, a place that we could book out completely, could accommodate 40 people and a place whose energy would be as gentle as possible to Mohanji. Between the three of us, we literally contacted more than a 100 different places. We spent hours on the internet, phone and also driving from place to place to look at possible locations. Ramesh Bhai was kind enough to drive us all the way to the Drakensburg to have a look at a place. In total we drove more than 1000kms. We searched and searched and could not find a place that was adequate. Eventually we surrendered it to Mohanji. And that’s when the magic started….We were directed to Calderwood Hall in Boston. It was the perfect location, and it met all our expectations and more. The staff were angels and so helpful. Now that we had a place, we needed to start getting people to register for the retreat. This too was a process of grace. One week before the final possible date for registration (after three kind extensions by Calderwood) we only had 22 people registered. We were in a panic and desperately needed more people. We worked hard, but the turning point was Mohanji’s blessings. 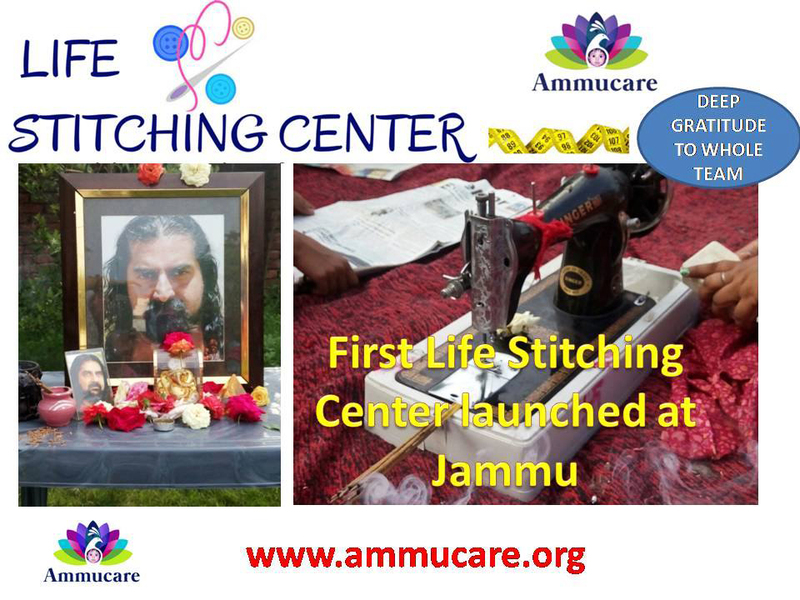 After a week we had 40 people registered, and with Guruji’s blessings we hit our target. We wanted to make this retreat a little different and wanted to add new dimensions. After speaking to a few people that had attended retreats before, we decided to add the element of bhakti to the retreat. We decided to allow everyone to have one-on-one time with Mohanji, everyone should have a chance to do one arthi individually, and we wanted to show everyone the beauty of doing a prayer to Mohanji. We also made welcome packs for each participant that consisted of: a grass mat, a yoga mat, a silver tray, a picture of Mohanji, a Picture of Mohanji’s feet, a picture of Mohanji’s yantra, a wooden stand for the pictures in the shape of an M (hand made by Linda and Mfana) , a metal hawan kund, a key chain, a blessed large rose quartz, and a packet of all the things that are required to do a small prayer including incense, camphor, hawan samagree, sugar, sindoor, hurdee, chandan, kumkum, viboothi, vastram, yagyopavitram, sugar candy etc. Each day of the retreat started at 4am with Pujas that took place at the altar set up in the main hall of the venue. Pujas consisted of a Mohanji Padaam Puja, Mohanji Sharanam Astikam, Mohanji kavacham, Mohanji Namavali and either Rudram/Chamakam or Lalita Sahasranam. A few people diligently attended this non-compulsory activity, and the bhav and emotions generated were so wonderful and inspiring. 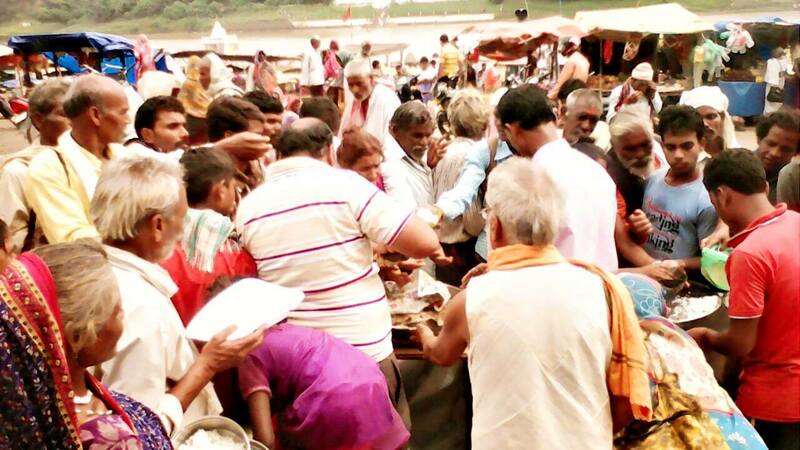 The devotion of the few people that made the offerings to Mohanji’s sandals was so palatable. Just these simple prayers made such a big difference. People’s hearts opened and devotion started pouring out. 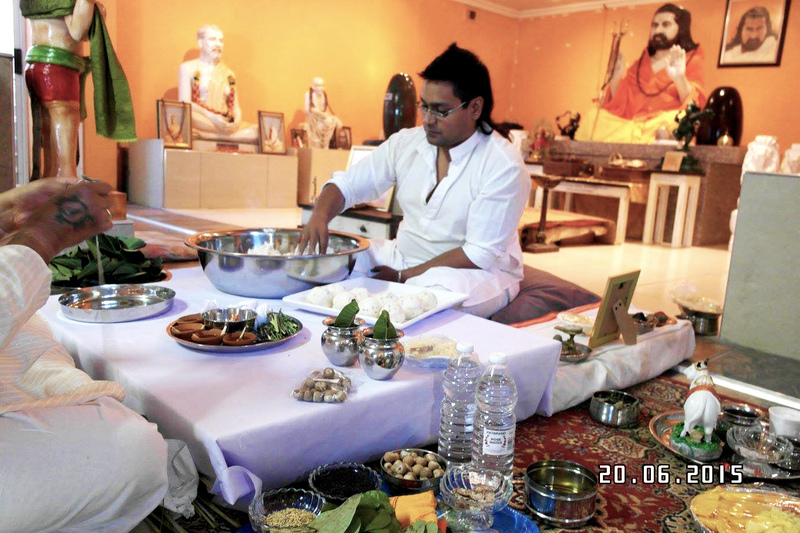 These pujas were also done to ensure that the atmosphere was regularly cleaned of all released emotions and negativity. Most people’s day began at 5:30am with drinking two litters of water, and eating some activated almonds and a piece of banana. This was meant to begin the detox process and allow us to flush away stored toxins. Thank-you to Tashmin and Mohan for facilitating this process. It was freezing cold in the mornings, but people still diligently went to have the water therapy. This shows the changes that were happening in people’s lives. 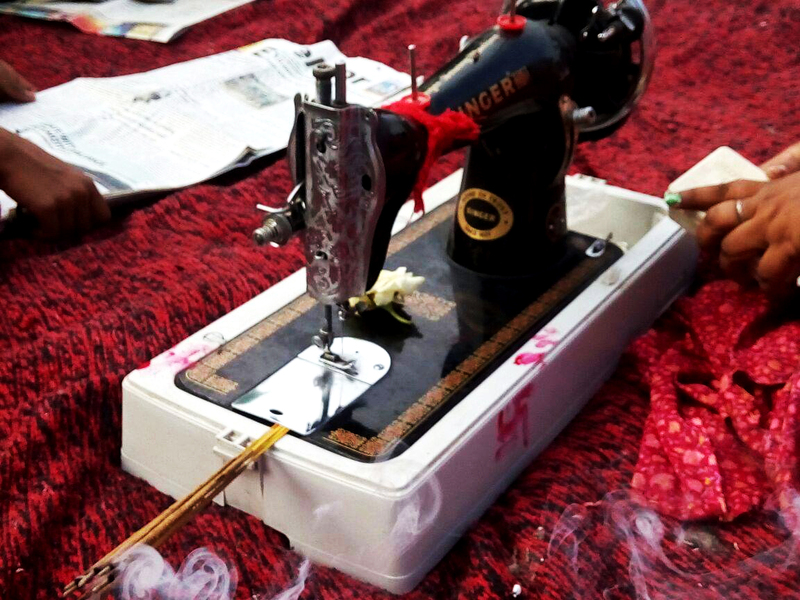 This simple process, together with Mohanji’s blessings, were allowing people to experience changes. People were lighter, happier and more in touch with themselves. This is what makes Mohanji’s retreats different. It’s not about philosophy or learning hundreds of new techniques or common self-help techniques. It’s about experience….experiencing change with awareness and surrender. There after we had the most wonderful yoga sessions with Ivana. Ivana is such a star and one of the most caring people I know. She so lovingly taught us different pranayama and asanas. For the first three days we were sore, but then our bodies adapted. We began to really get into the groove and I actually miss the motivation we got from her. It was a lot of fun, and we all had detox happen to our bodies. Some of us really went through intense detox, but afterwards we felt on top of the world. The two satsangs per day with Mohanji were the highlights. These were the most amazing part of the entire retreat. Just sitting and soaking up the presence of Mohanji. Mohanji spoke about so many things, each of which has particular relevance to all our lives. All the stories, lifestyle issues, eternal truths had us at the edge of our seat. However the most important thing was just being there with Mohanji. 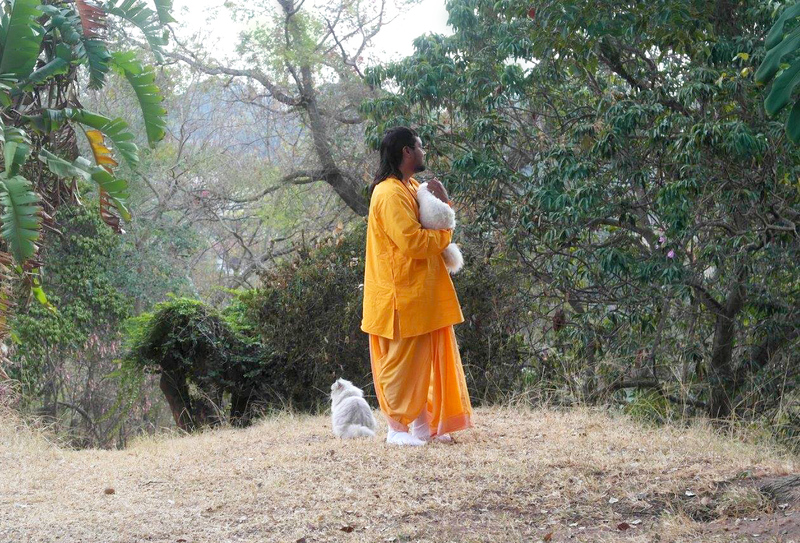 Such is the path….surrender is the dynamo…all you need is to empty your cup…and Mohanji will fill it up with unconditional love and awareness. The conscious walks and gap awareness breathing all added to the magic of the retreat. We will describe this all in detail in upcoming blogs. Explaining how to do a simple prayer for Mohanji was a wonderful experience for all. We went through each aspect of the prayer and what the meaning is. 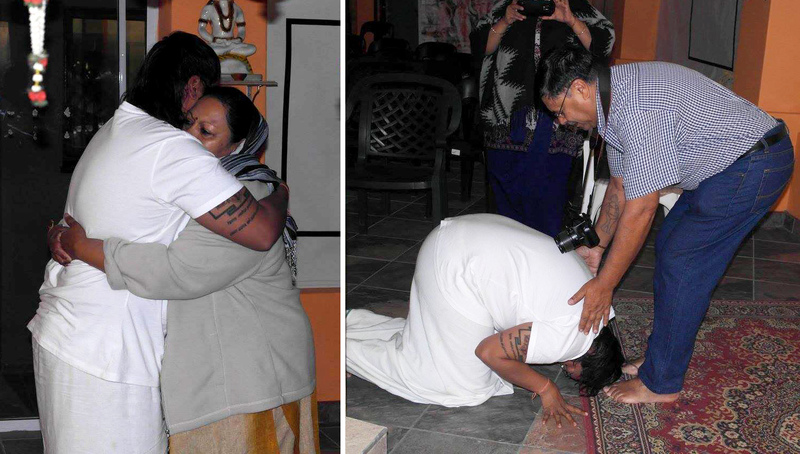 We went through the process, starting as an individual doing a prayer, and slowly merging the different bodies with the divine, and eventually reaching the point of understanding described as “Mohanji is doing puja for Mohanji using Mohanji”. While explaining the reasons for offering certain items and the bhakti stories behind them, so many people broke down and released tons of emotions. 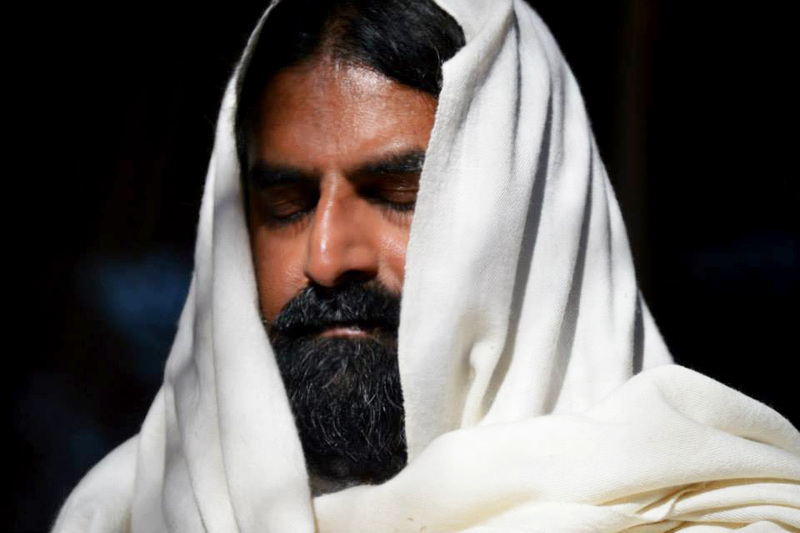 The prayer session was intense and Mohanji had expanded into universal consciousness. Each time I glanced over at him while we explained the pujas that all of us were doing simultaneously, he just had a big loving expanded smile on his face. Retreat participants all had wonderful experiences. Some had such profound changes happen to them. Destructive behaviours were broken and masks were removed. Breakthroughs happened without lightning and thunder. This is Mohanji’s way….subtle, consistent and profound. We all performed a homa on Thursday. What an experience!!!! The energy was amazing. Ramesh Bhai and Uncle Deena performed the Homa on behalf of everyone and I recited the mantras. 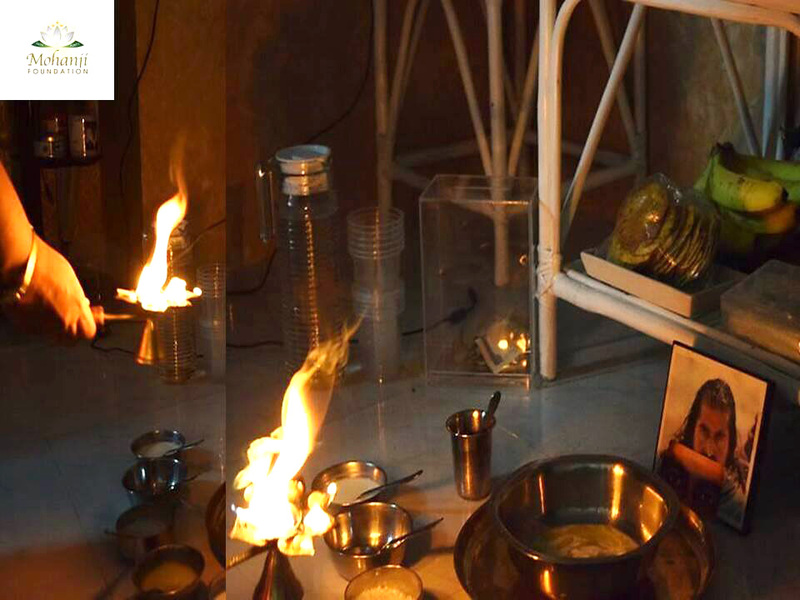 As soon as Mohanji sat in front of the hawan kund there was an immediate change. Most people withdrew into themselves and internally offered ahuthis. Silence floated as the vedic mantras were chanted. Peace filled the air as Mohanji embodied the fire. Each breath was wood to his internal Agni. Each bite of food was an offering to his internal Agni. 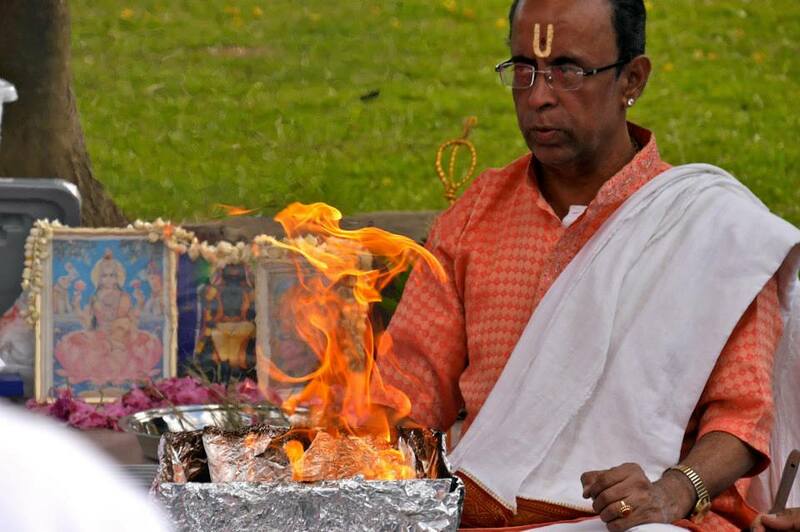 And the participant’s bhakti was the ghee offered to his internal Agni. 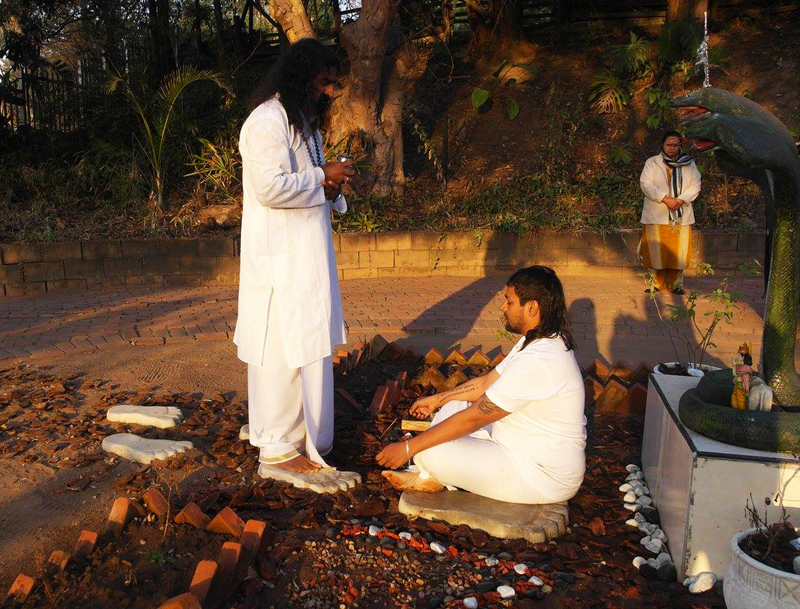 Mohanji was the Agni himself….Mohanji was the Homa!! There is so much more to describe, and this is just the start. I will soon upload more about some amazing experiences, some of which even shattered all my concepts of Mohanji!!! 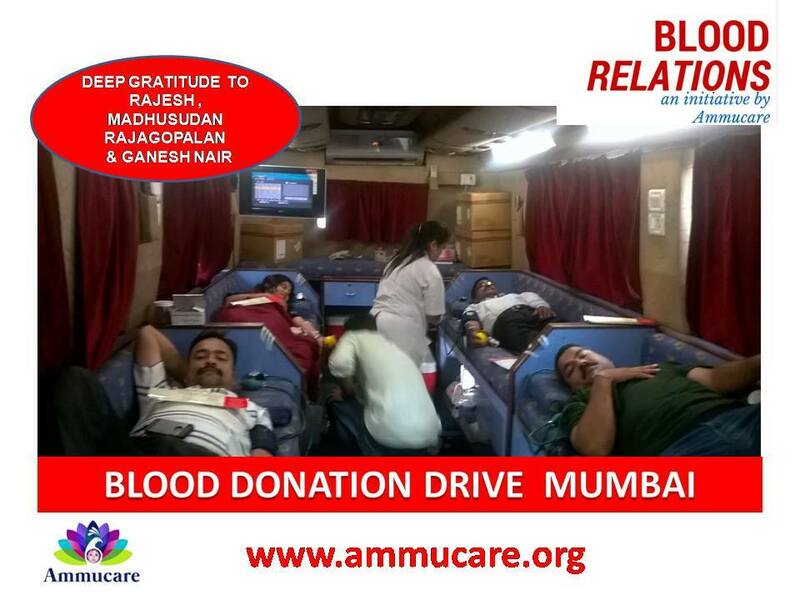 A very big thank you to Ramesh Bhai and Seemaji for all their hard work. You guys were on your toes the whole time. Thank you. Thank you to Linda and Mfana, as well as Tashmin and Mohan. And of course, a very big thank you and gratitude to our Mohanji. Thank you Babaji for lifting us up. Thank you for introducing us to who we really are. We had become strangers to our own self, and if it was not for you, we may never have met our real self again. Thank you for saving us from ourselves.